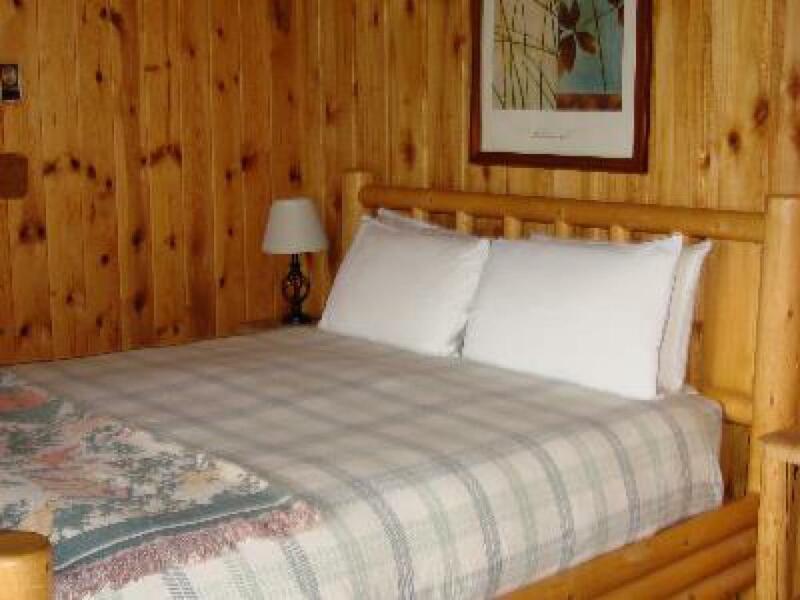 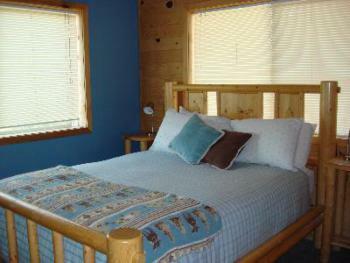 Our place is very cozy, clean and comfortable, with outstanding views of the mountains. Our place is good for couples, solo adventurers, business travelers, and families (with kids). 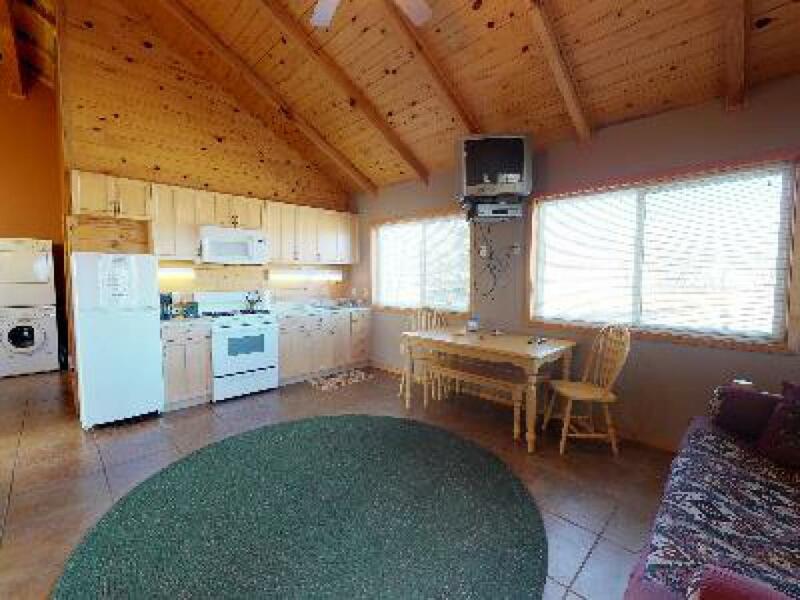 The space has 3 bedrooms (2 queen beds, 2 twin beds) each with their own sink and mirror, one bathroom with a shower, a living/kitchen space with a stove, oven, microwave, full size fridge/freezer, toaster, coffee pot, and everything you need to cook with, e.g. 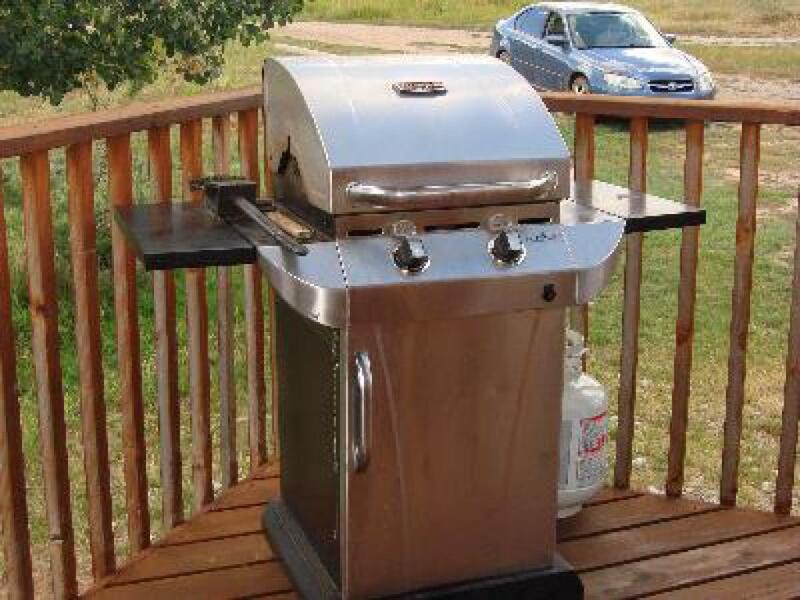 pots, pans, utensils, bowls, plates, cups, etc.. Gas grill available for outdoor cooking. 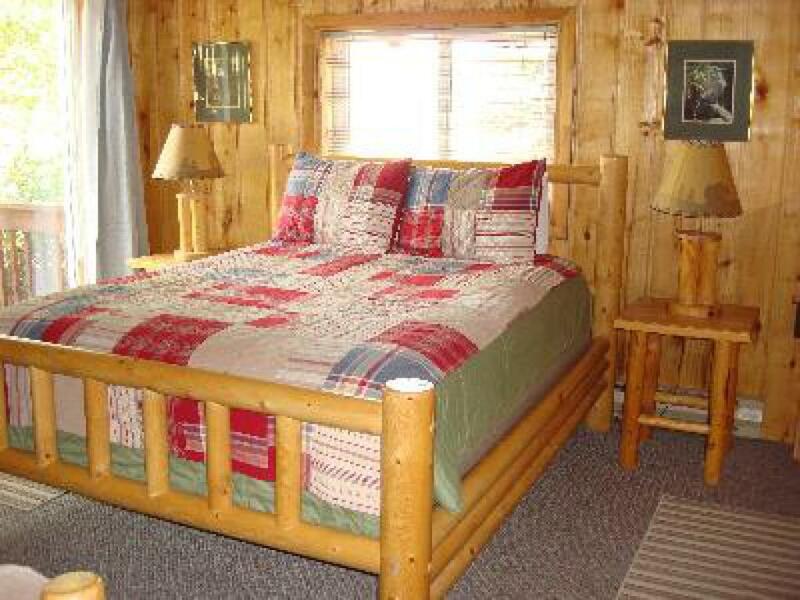 Our place is very cozy, clean and comfortable, with outstanding views of the mountains. 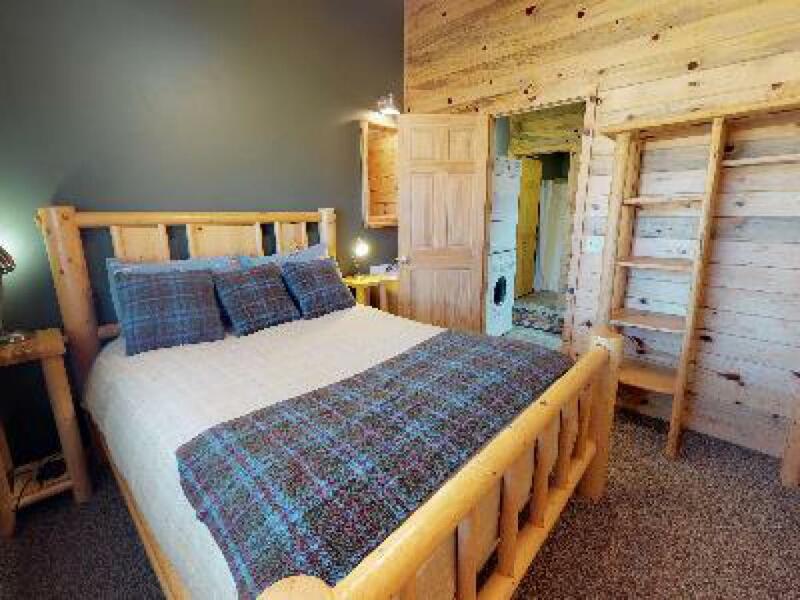 Our place is good for couples, solo adventurers, business travelers, and families (with kids). 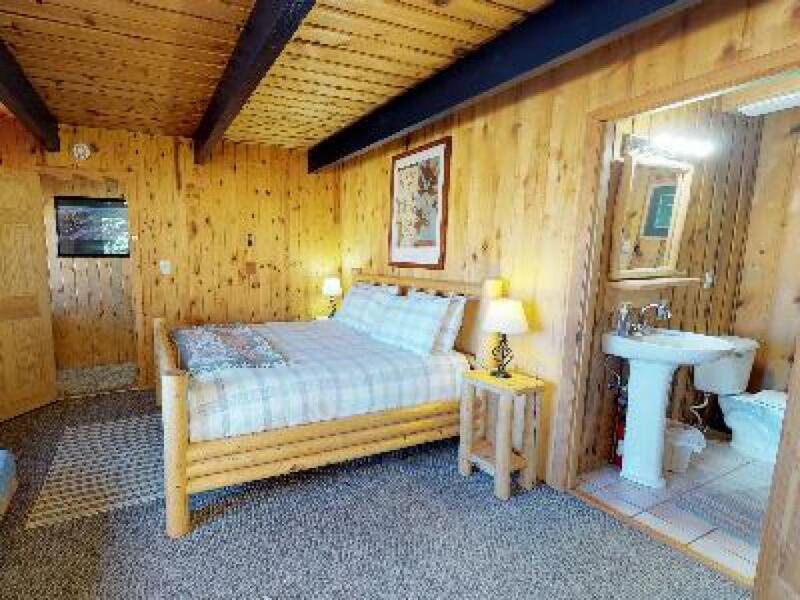 The space has 3 bedrooms (2 queen beds, 2 twin beds) each with their own sink and mirror, one bathroom with a shower, a living/kitchen space with a stove, oven, microwave, full size fridge/freezer, toaster, coffee pot, and everything you need to cook with, e.g. 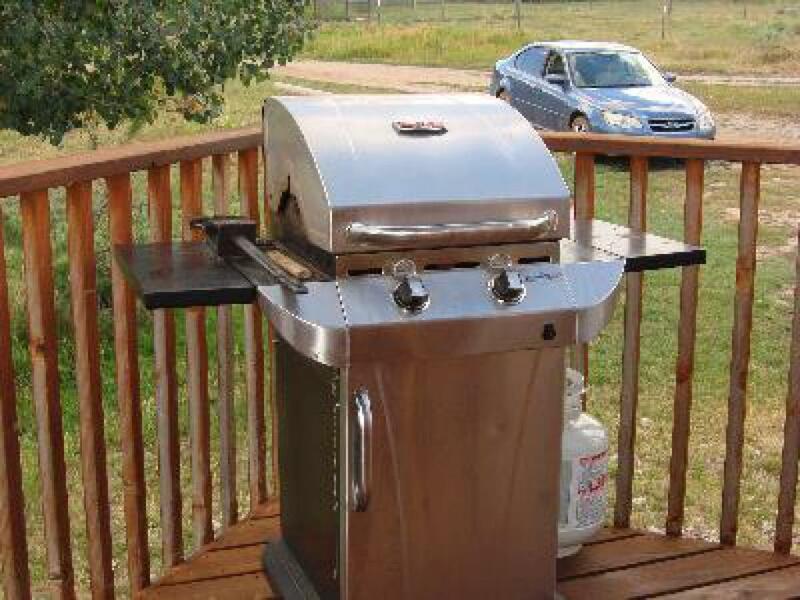 pots, pans, utensils, bowls, plates, cups, etc... Gas grill available for outdoor cooking. 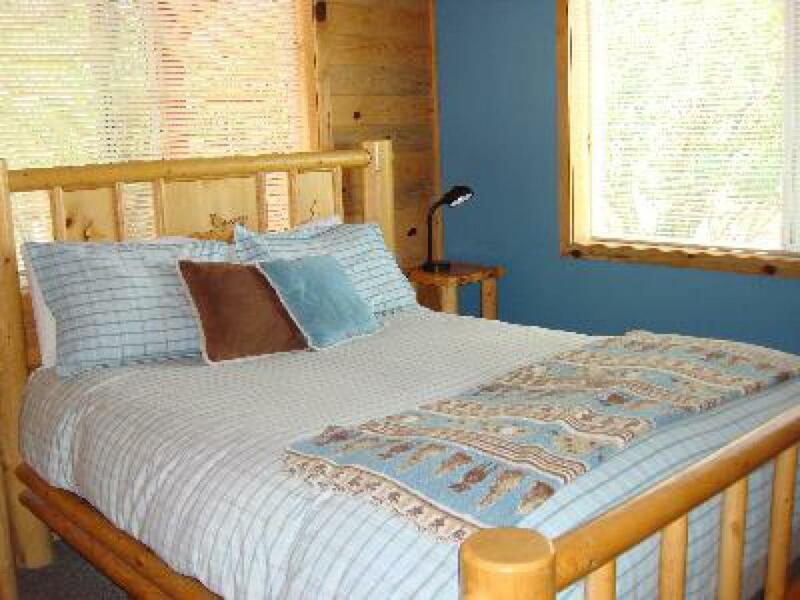 Our place is very cozy, clean and comfortable, with outstanding views of the mountains. 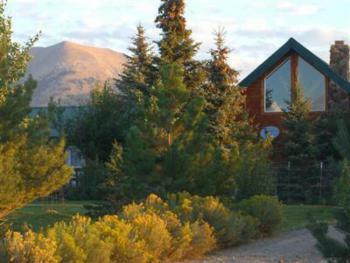 Our place is good for couples, solo adventurers, business travelers, and families (with kids). 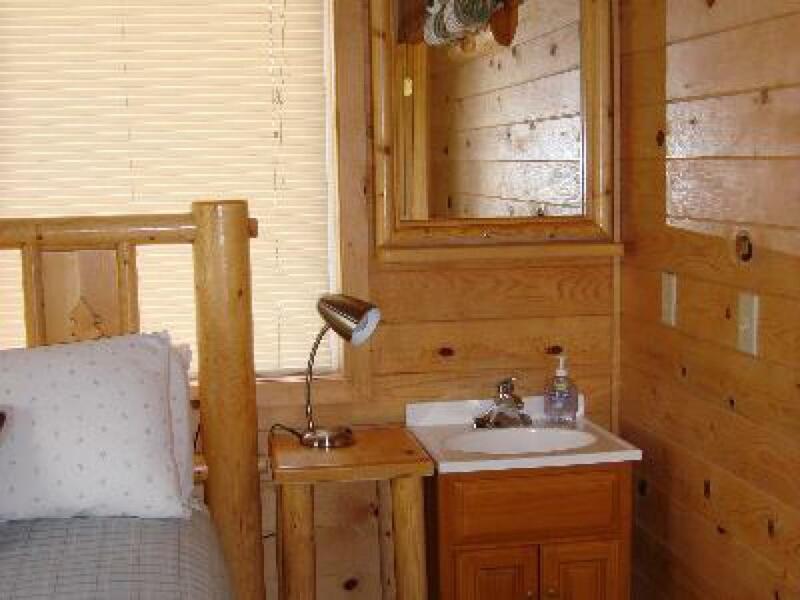 The space has 3 bedrooms (2 queen beds, 1 bunk bed) each with their own sink and mirror, one bathroom with a shower, a living/kitchen space with a stove, oven, microwave, full size fridge/freezer, toaster, coffee pot, and everything you need to cook with, e.g. 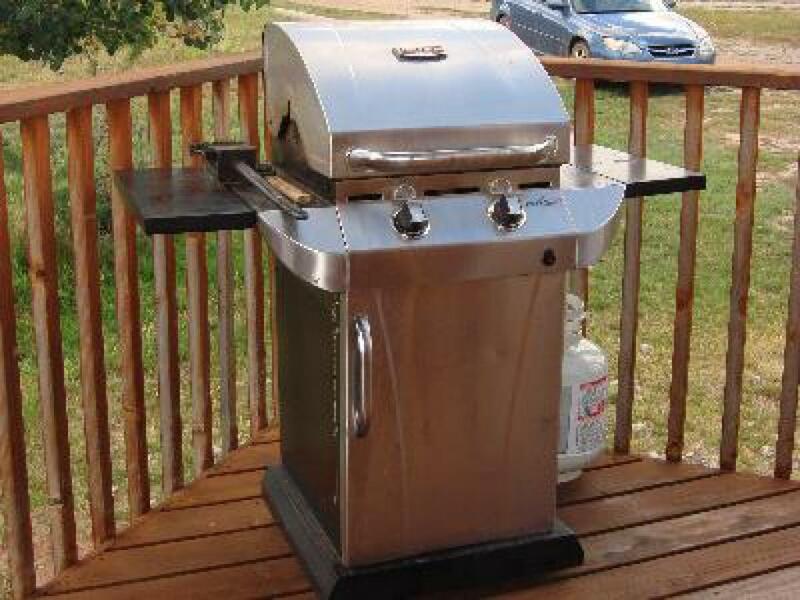 pots, pans, utensils, bowls, plates, cups, etc.. Gas grill available for outdoor cooking. 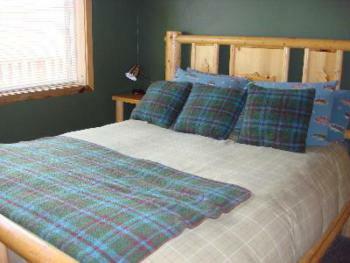 Our place is very cozy, clean and comfortable. 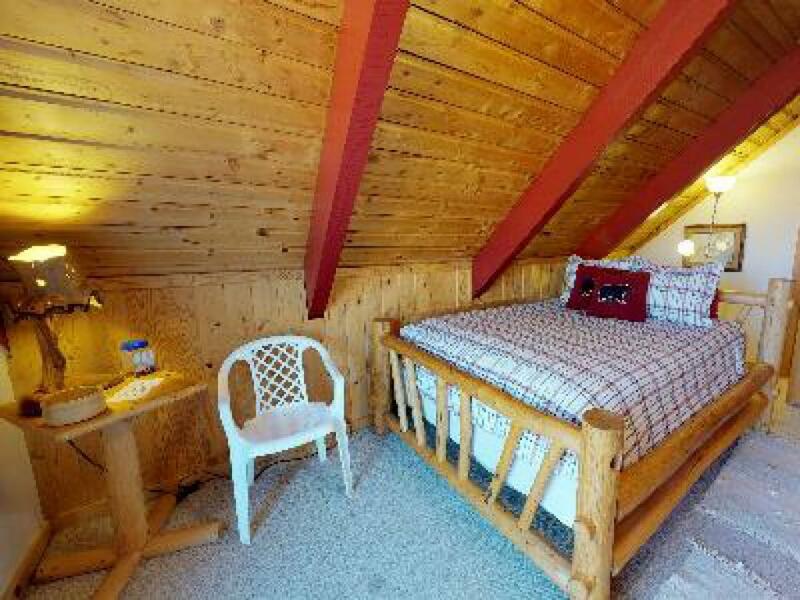 This room is up a flight of stairs (about 15 steps) and is perfect for an individual or a couple traveling together. 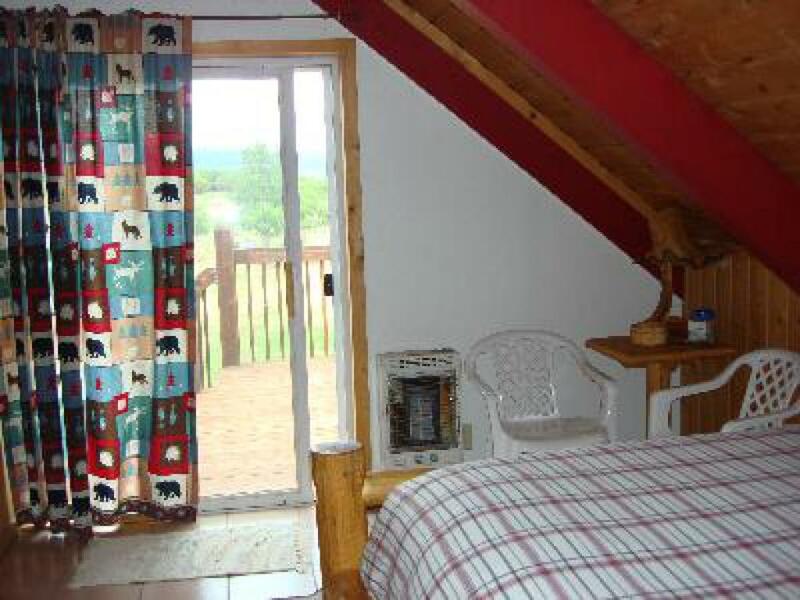 The room and bathroom are private, the balcony is shared with the room across the hall. 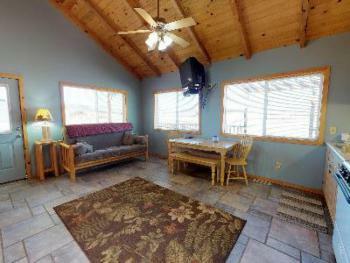 The common areas, such as kitchen, living and dining rooms are all shared with other guests. 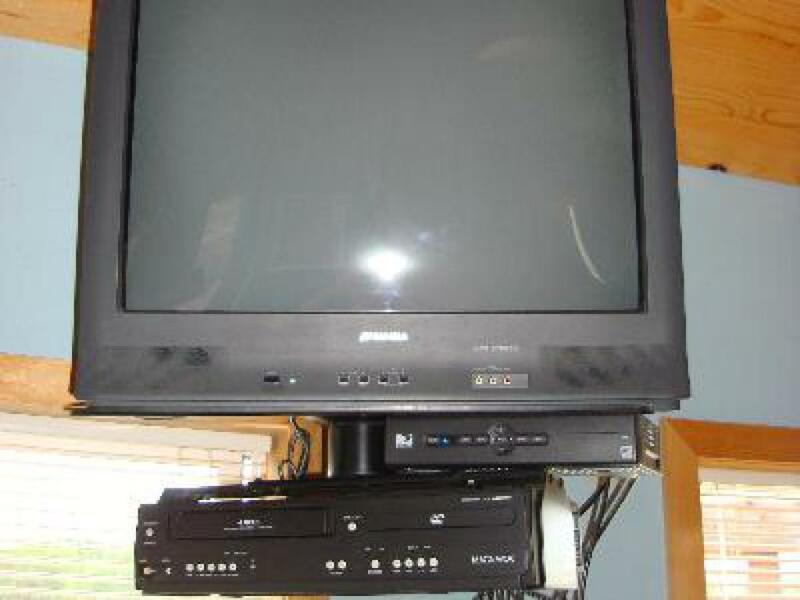 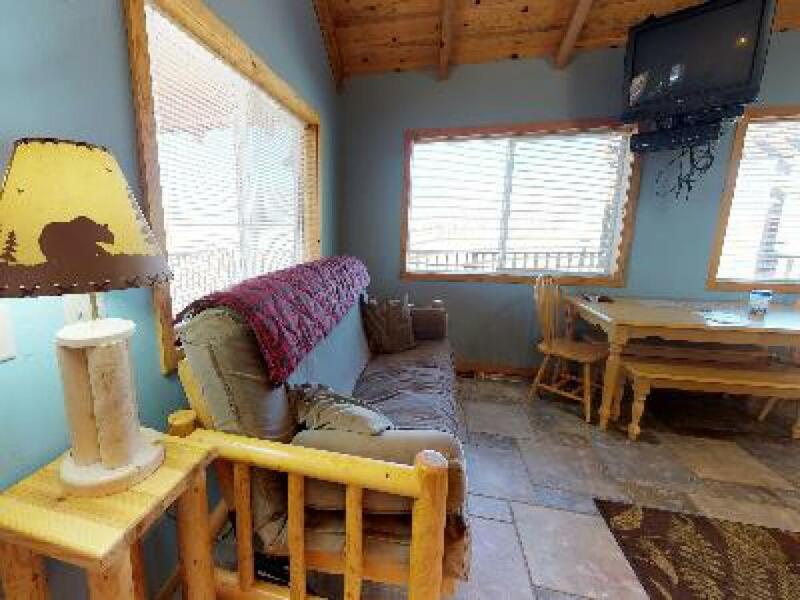 You have access to a cozy living room with a fireplace and DirecTV, a kitchen with everything you need to cook, a dining room and a deck with a grill. 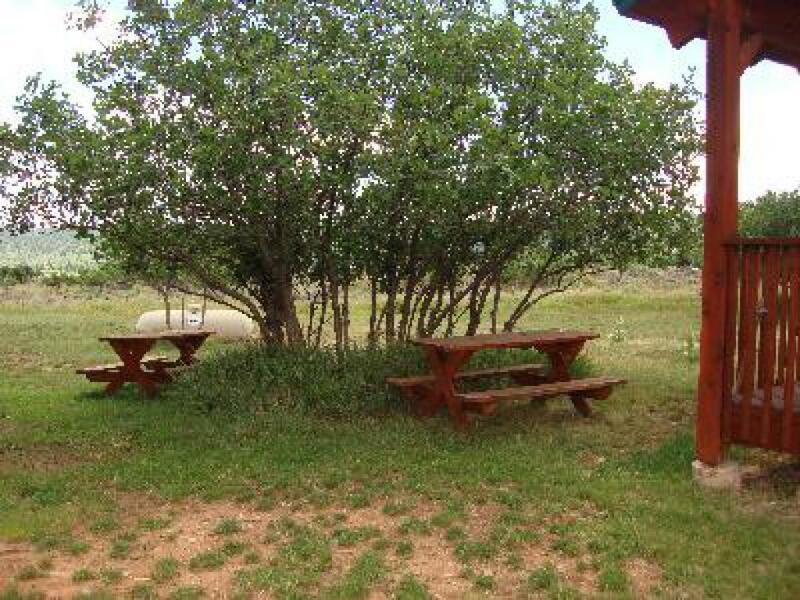 We provide some simple food items for breakfast, such as eggs, cereal, non-dairy milk, bread, coffee, tea, etc... Other than that you will need to bring your own food. 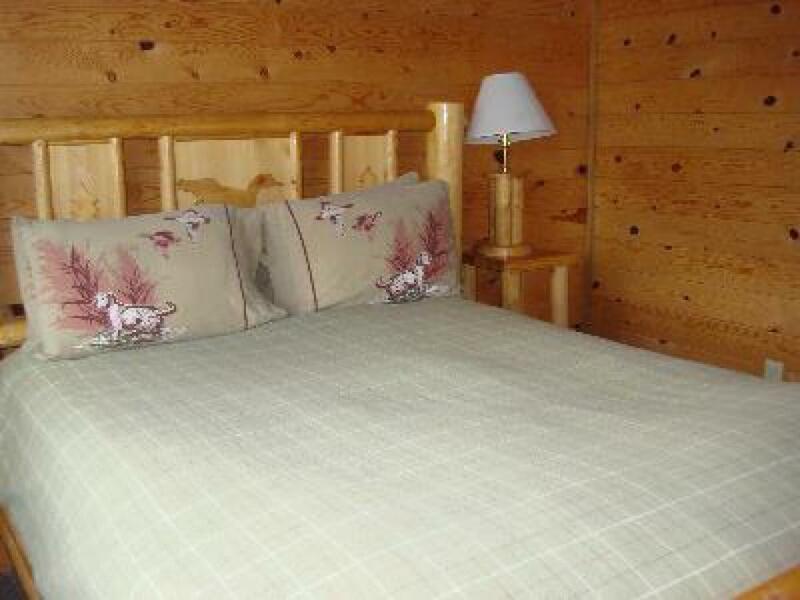 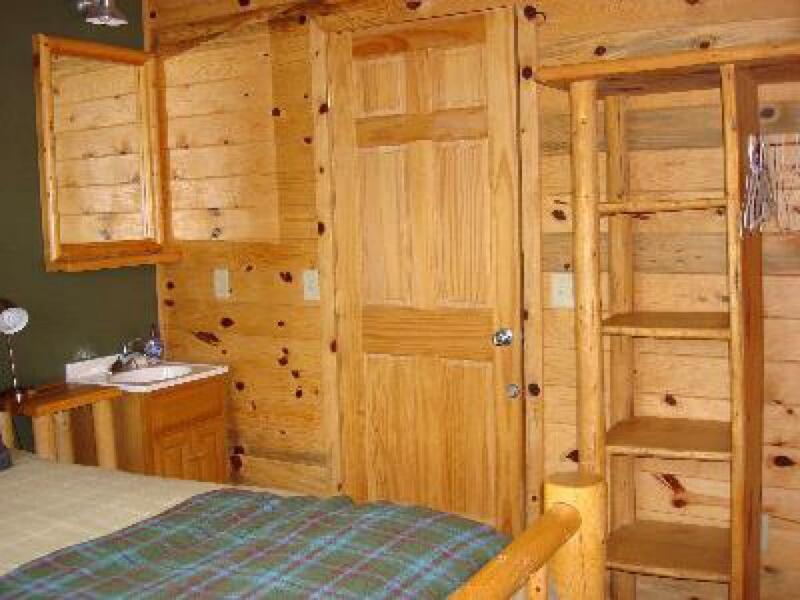 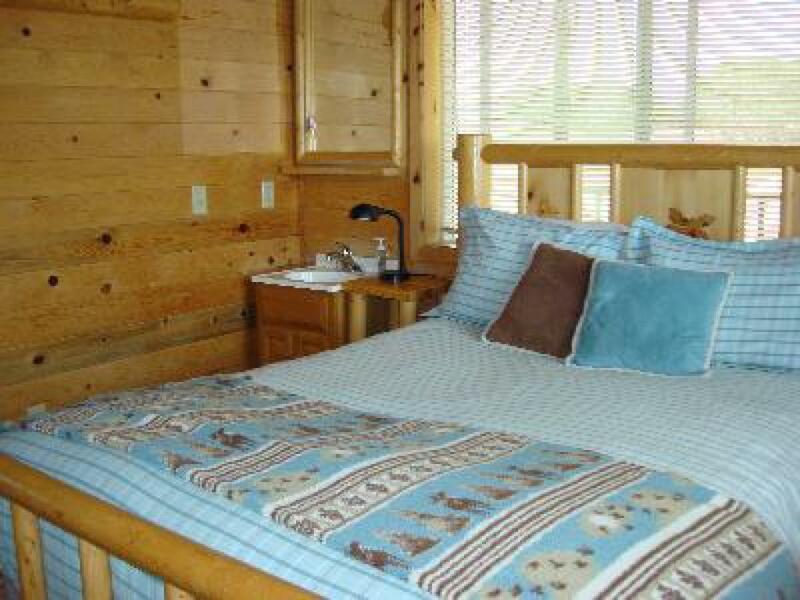 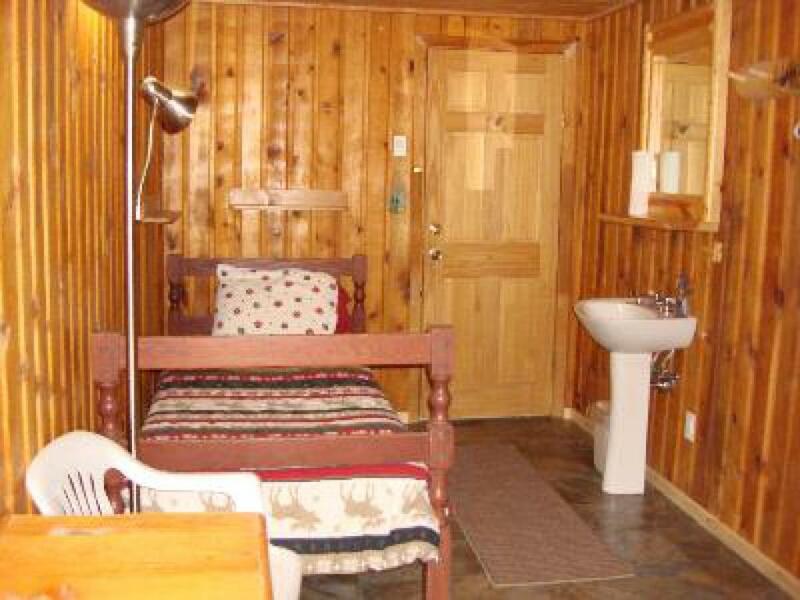 This is a private room inside of a cabin that is shared with other guests. 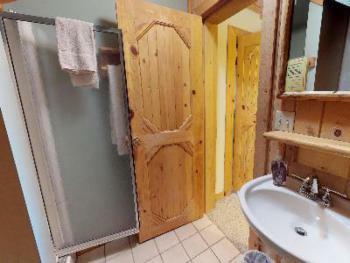 This room has a queen bed, closet, sink and mirror. 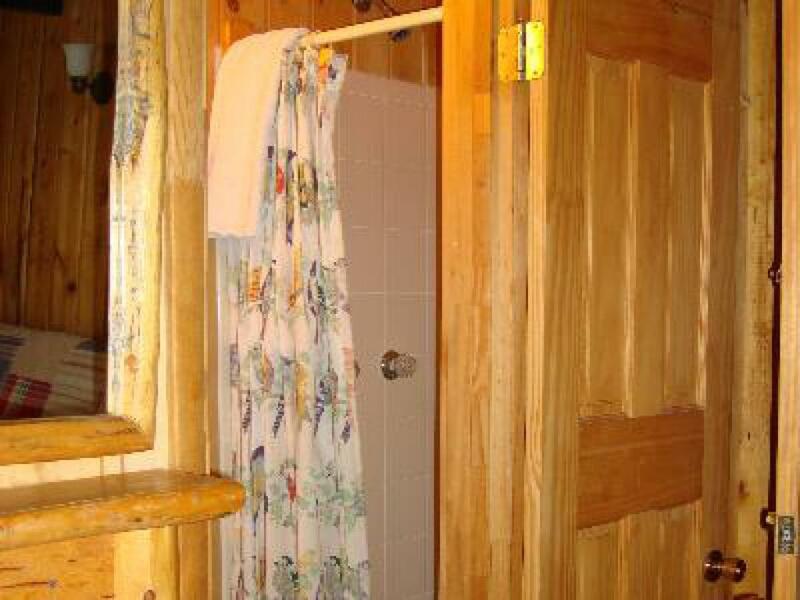 The bathroom/shower, kitchen and living area is shared with other guests. 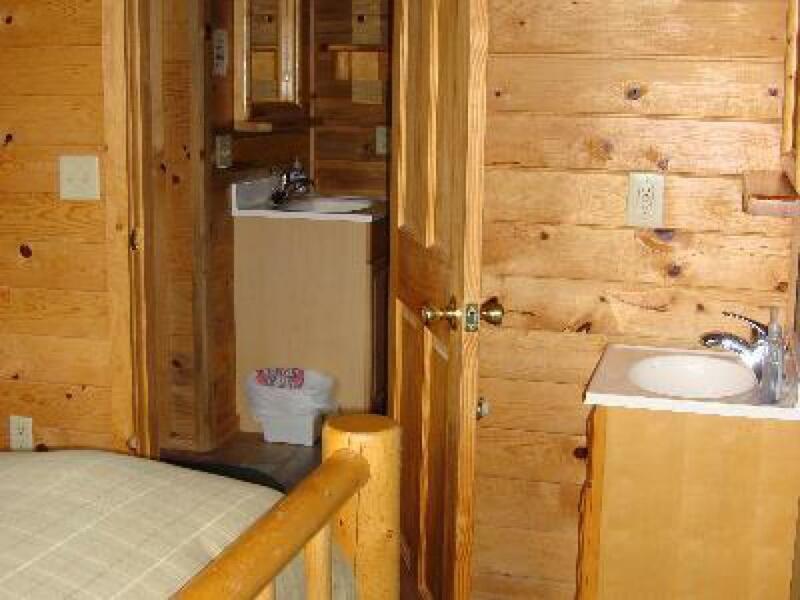 Out of respect for other guests staying in this cabin, visitors outside of paying guests are not allowed. 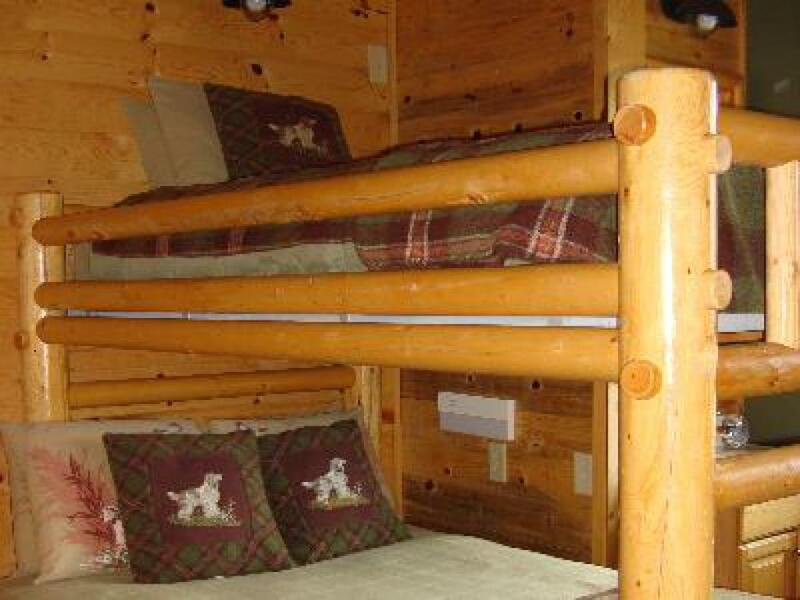 Garden room sleeps up to 3 people in a queen bed and fold out futon. 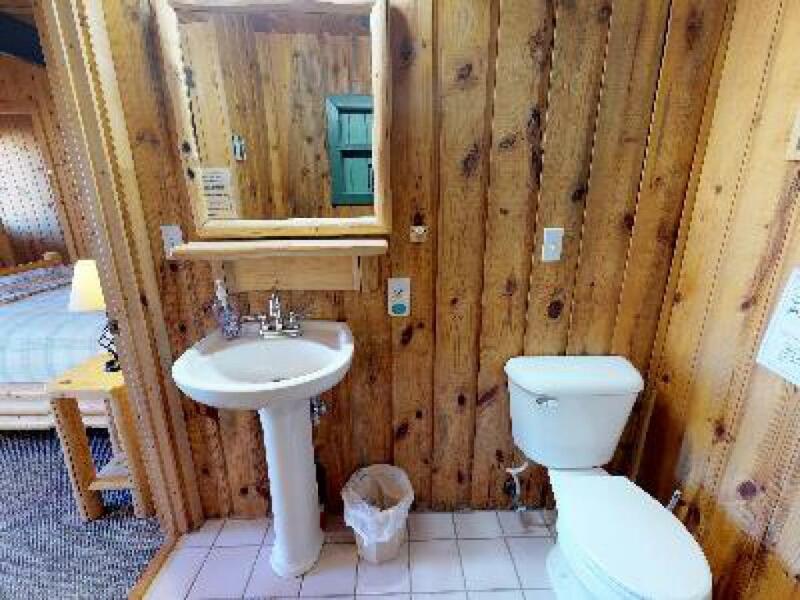 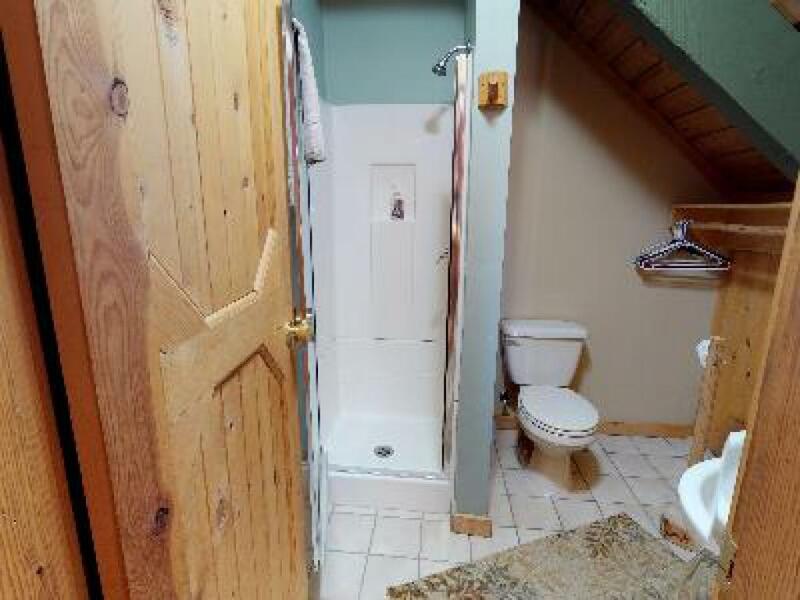 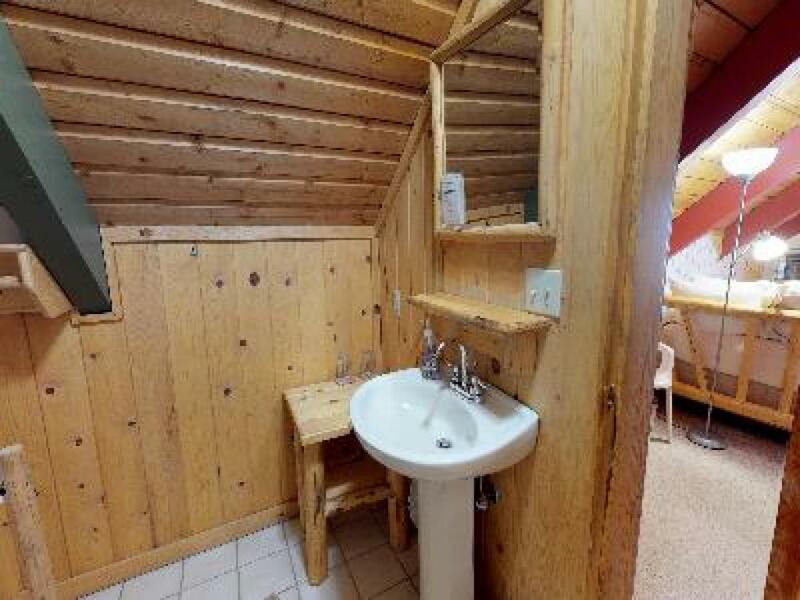 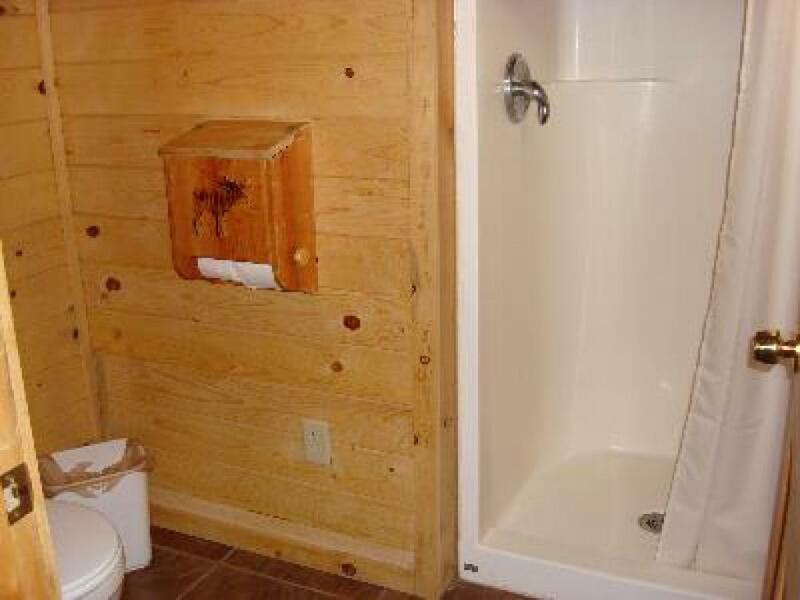 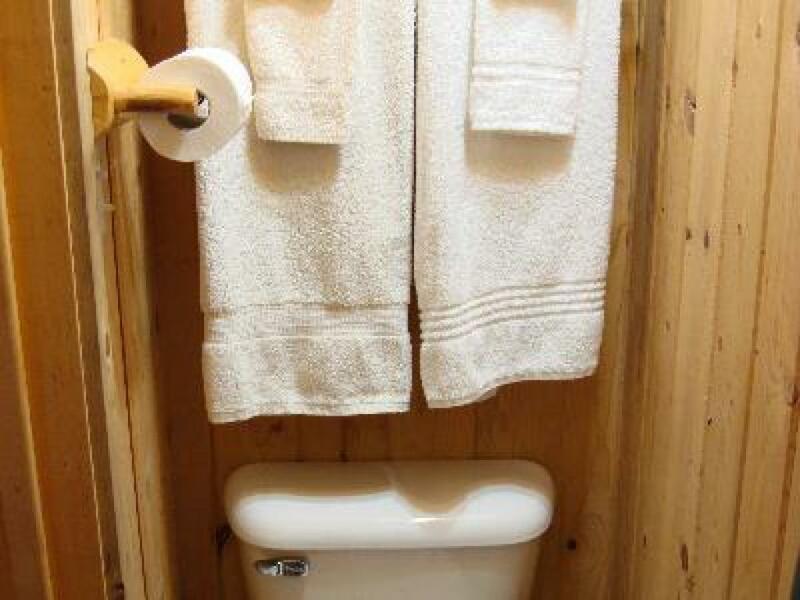 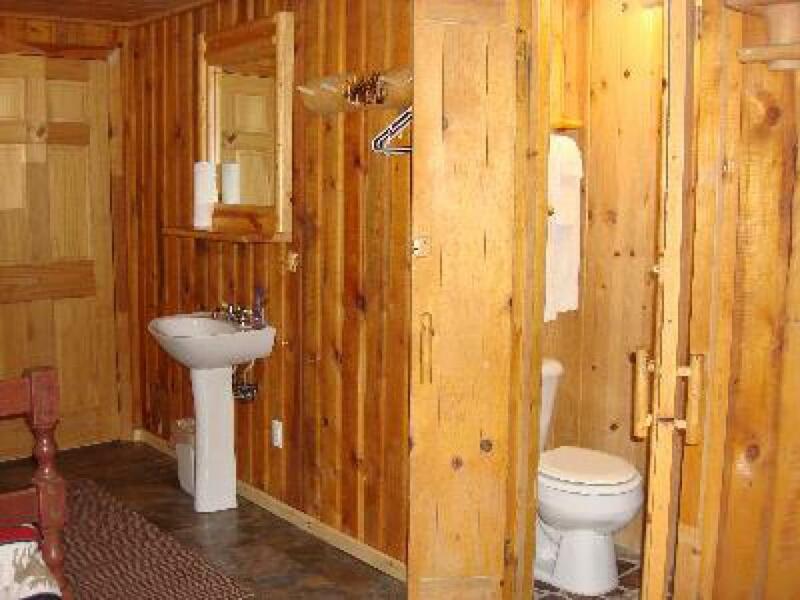 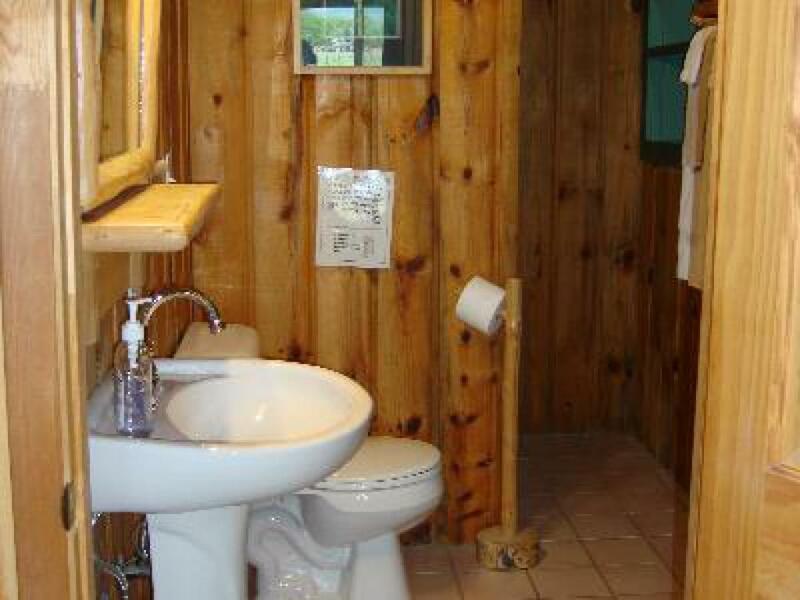 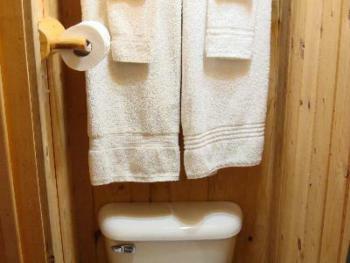 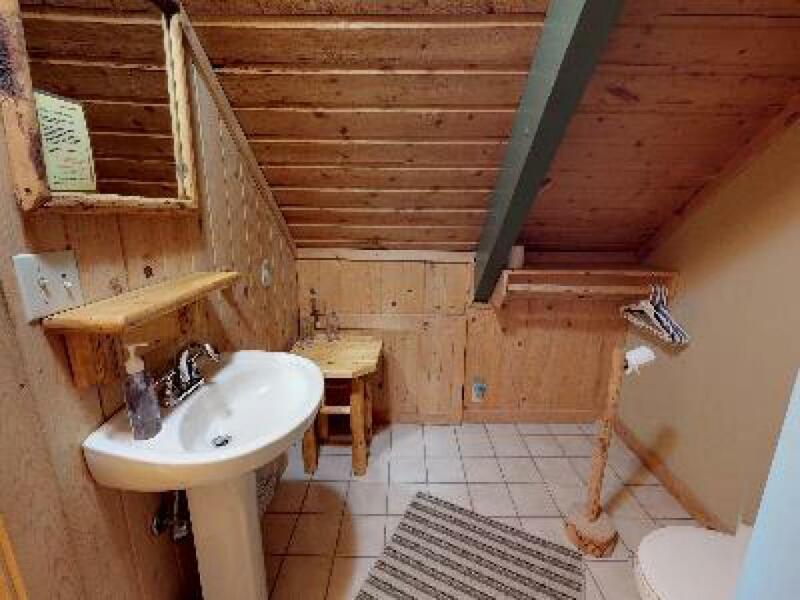 Has a private bathroom with shower. 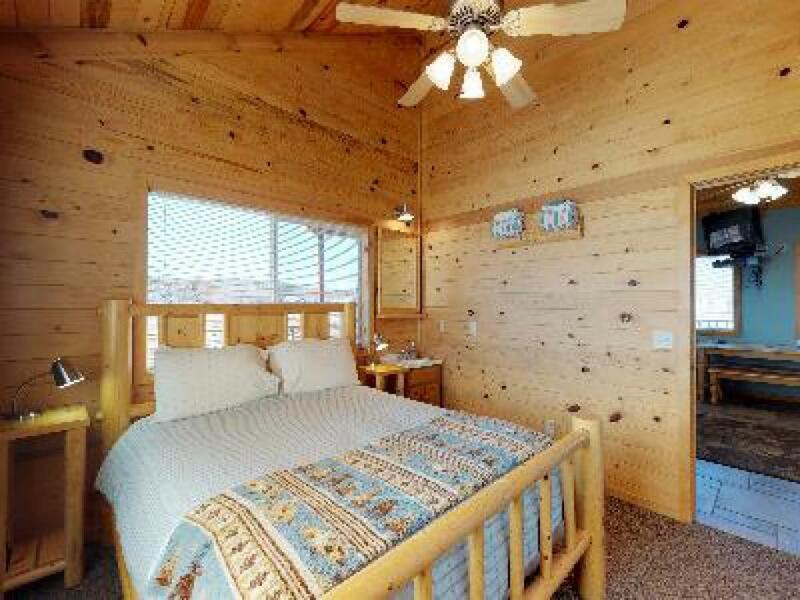 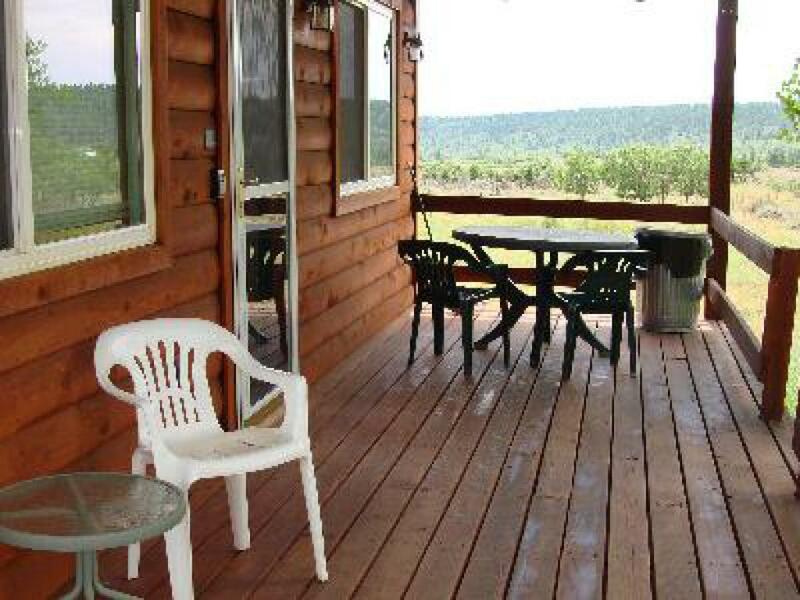 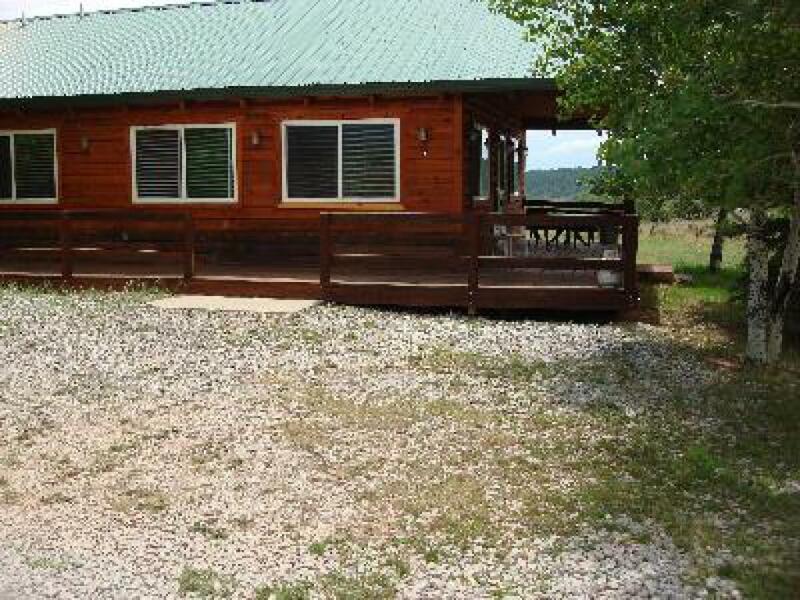 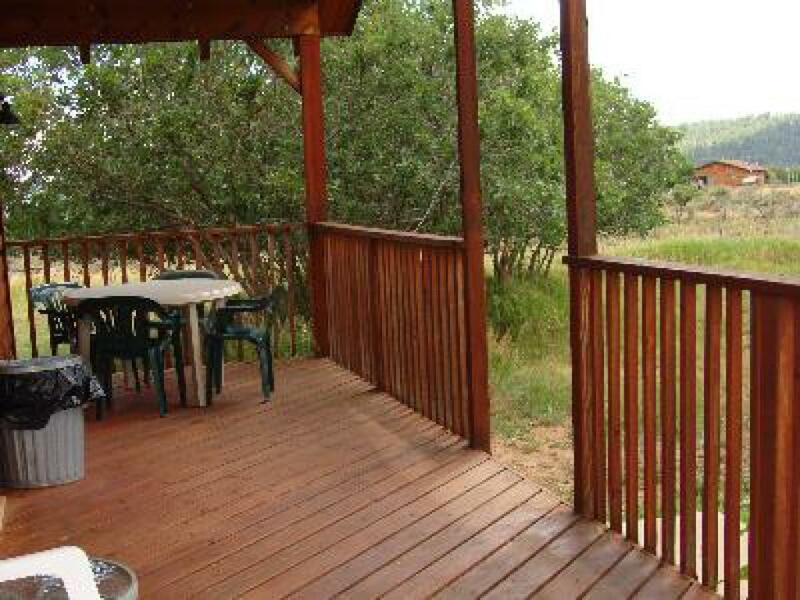 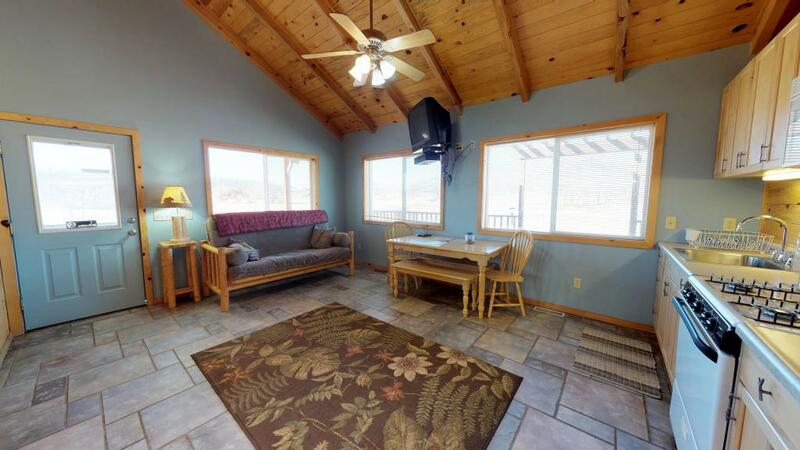 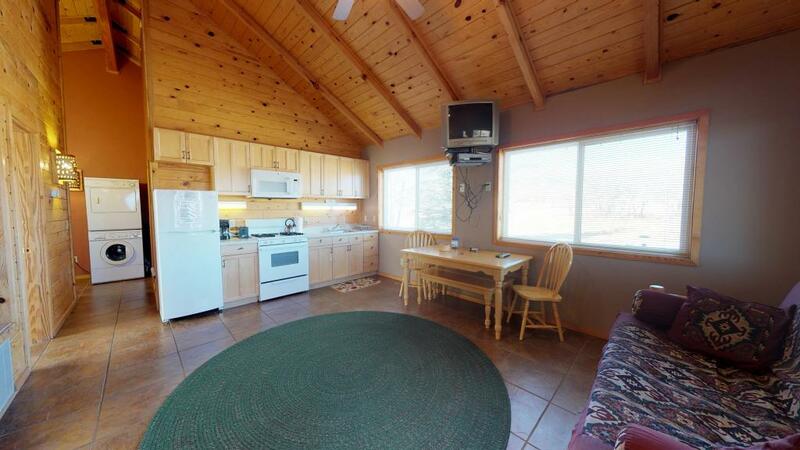 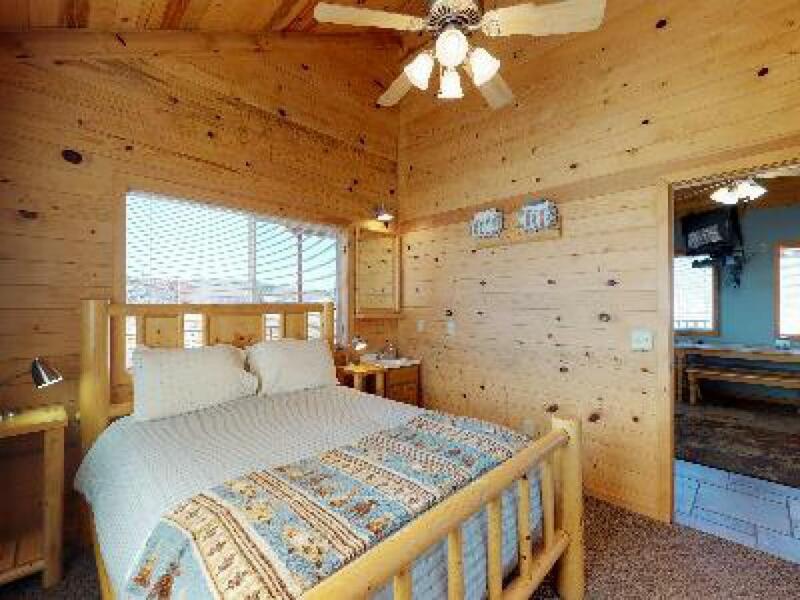 Has sliding door access to main deck, and an amazing view of the mountains. Guests in this room have access to the lodge kitchen, living room and dining room. These main spaces are shared with other guests. 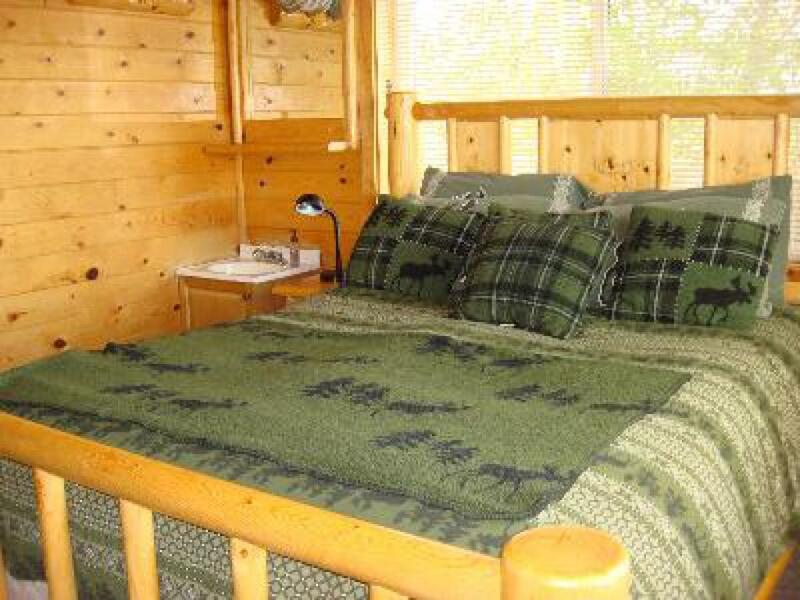 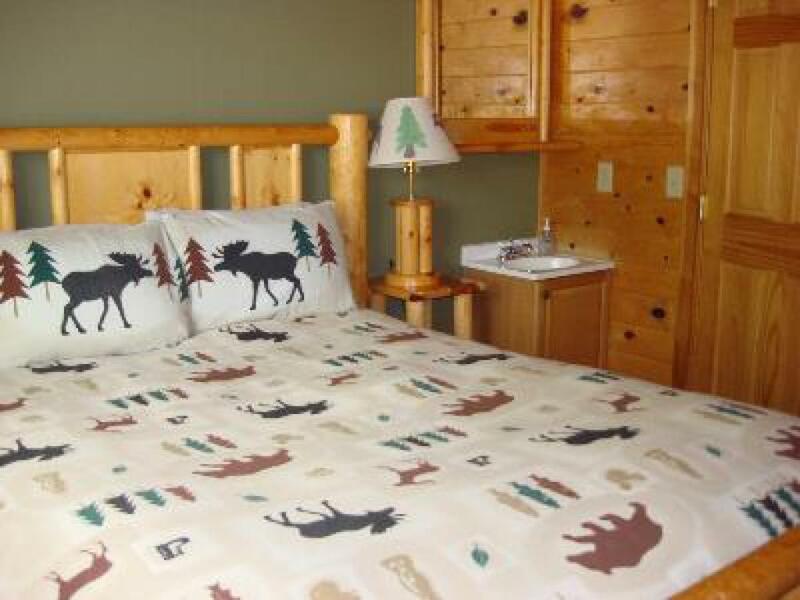 Cozy Moose room sleeps one person in a twin bed. Has a private bathroom with shower. 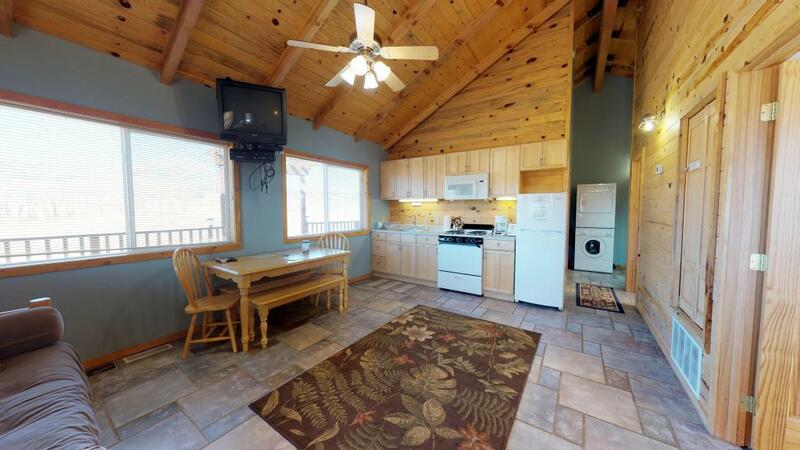 Guests in this room have access to the lodge kitchen, living room and dining room. 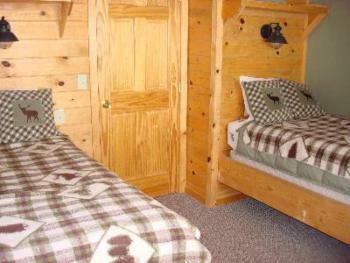 These main spaces are shared with other guests. 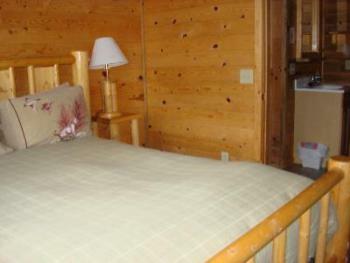 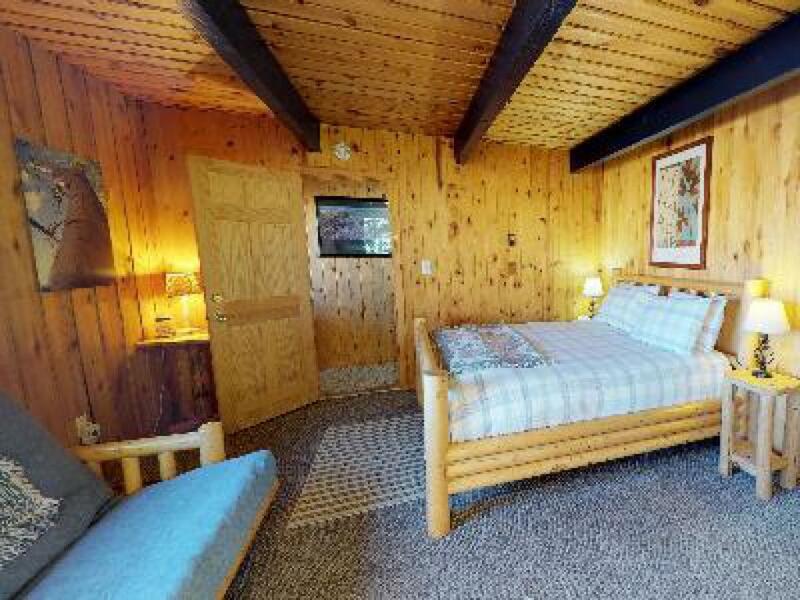 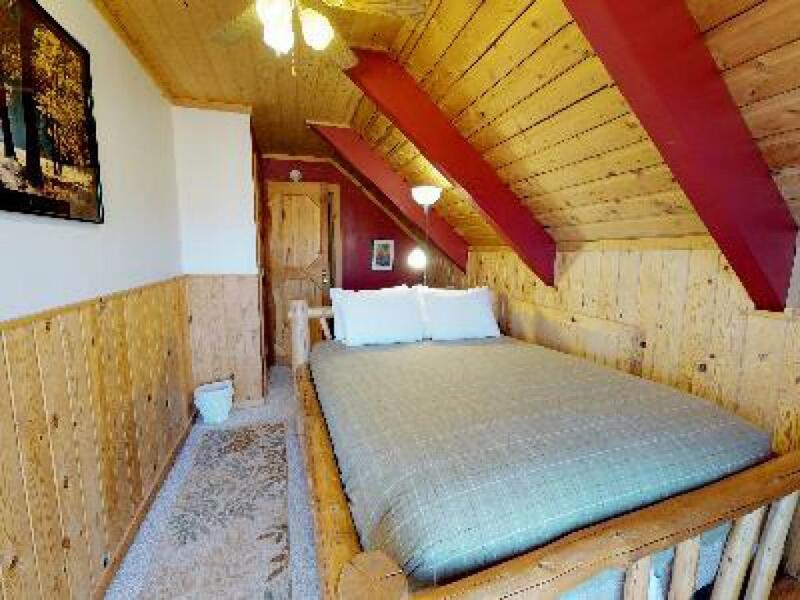 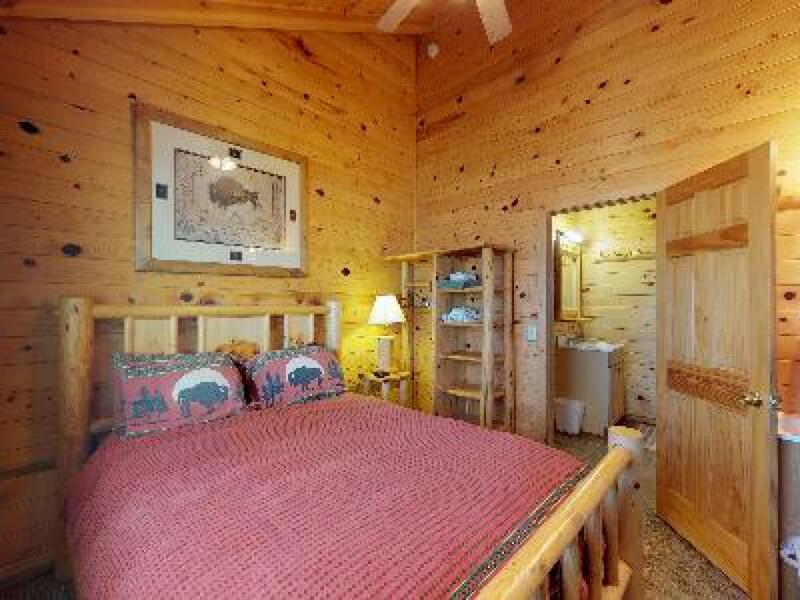 Room in Lodge with private bathroom/shower, queen bed and fold out futon. 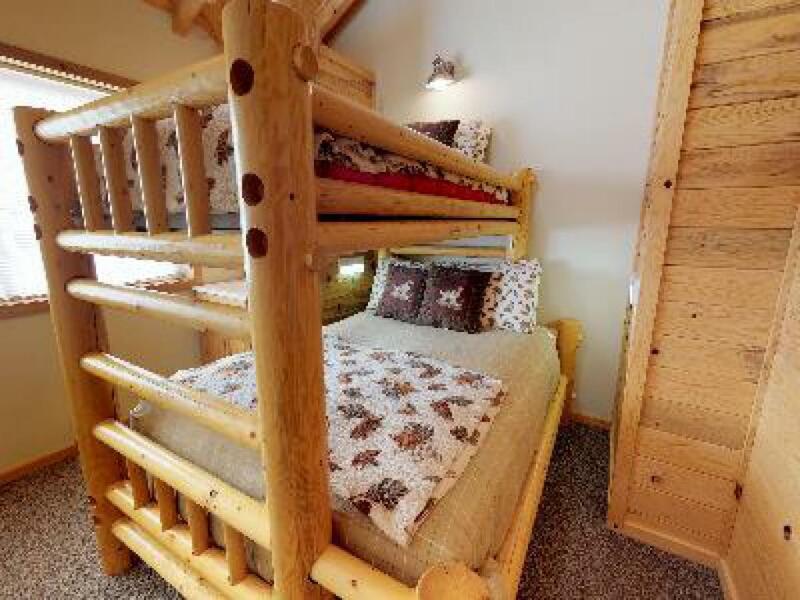 Can sleep up to 3 people. 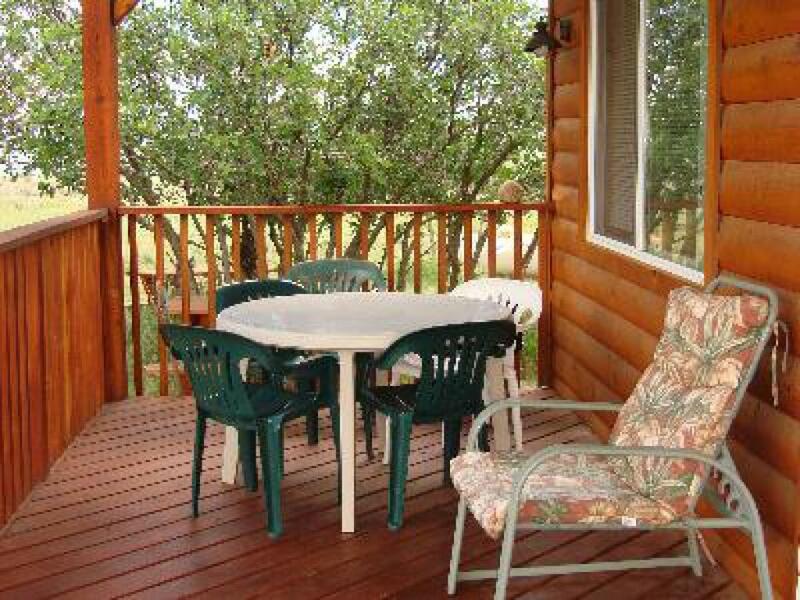 Has access to back deck. 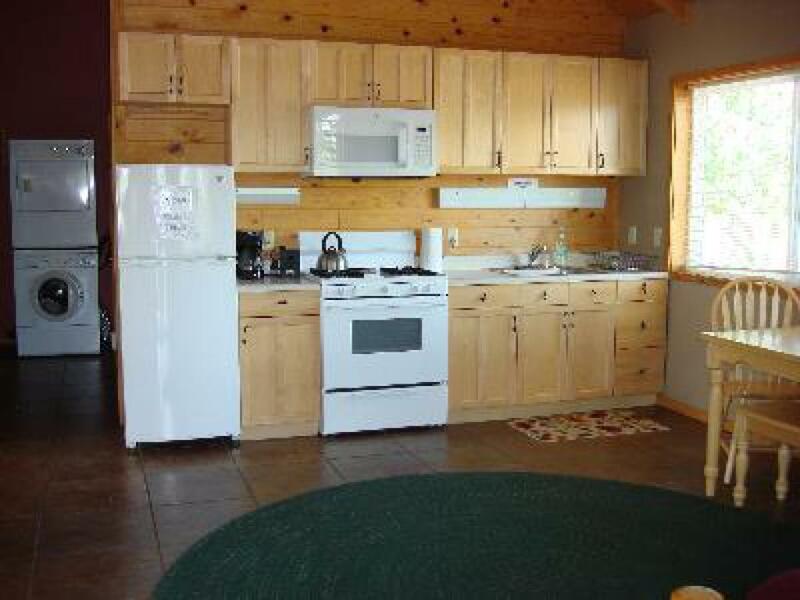 Guests in this room have access to the lodge kitchen, living room and dining room. Main rooms are shared with other guests. Bedroom/bathroom are private. 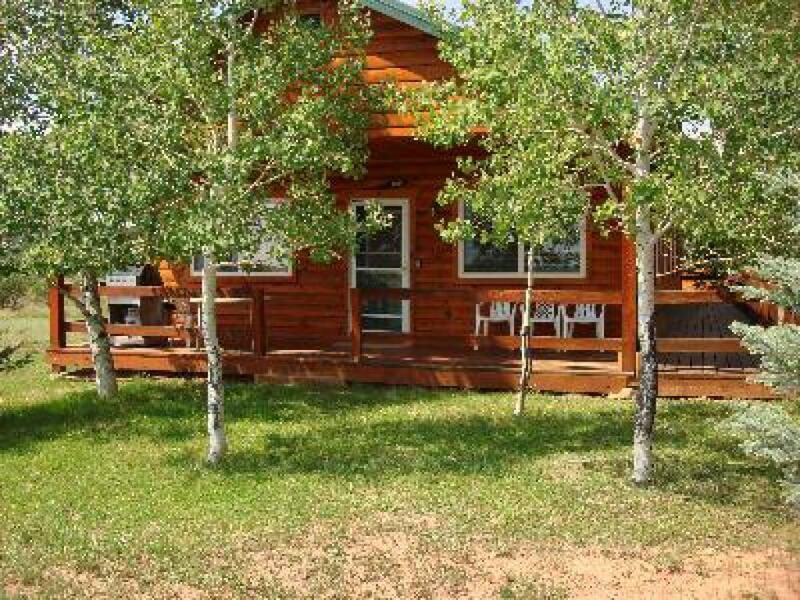 Our Lodge and Cabins are the perfect place to come home to, especially after a long day of driving, hiking or sight seeing. 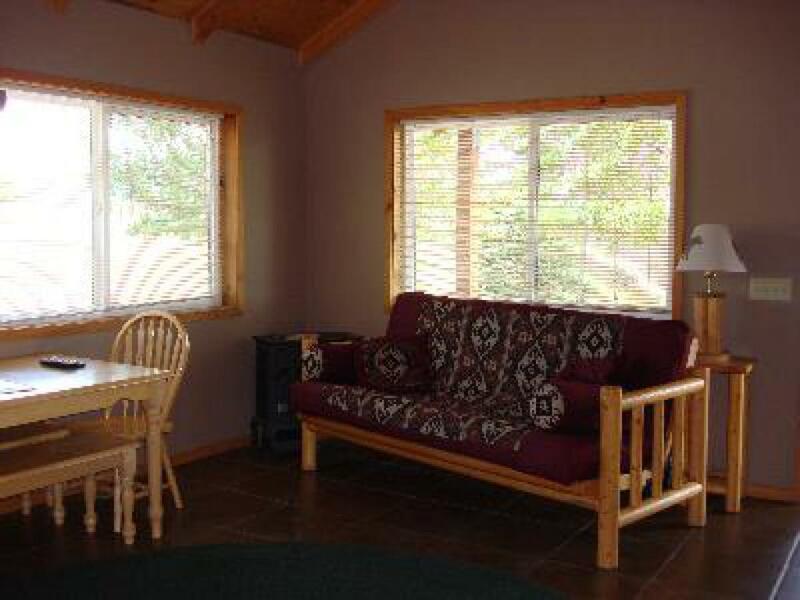 We are 36 miles outside of Moab, and it is well worth the drive to stay with us. 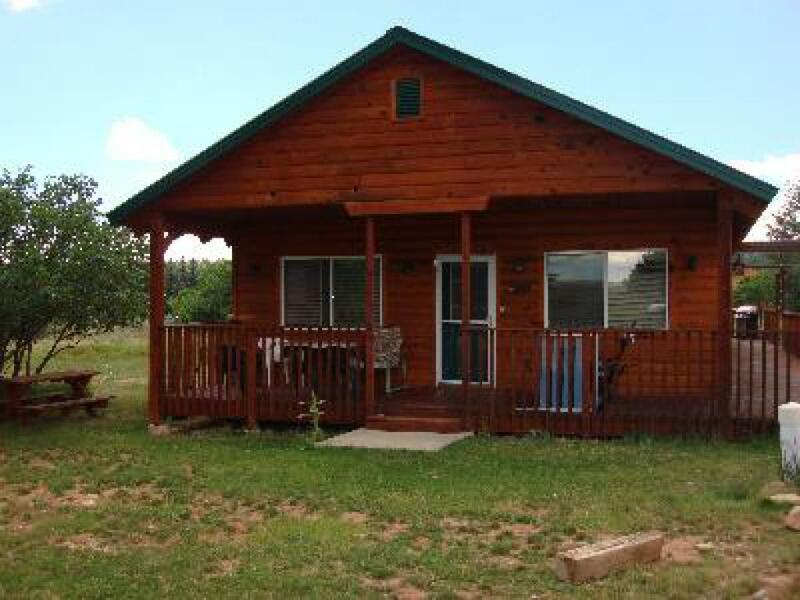 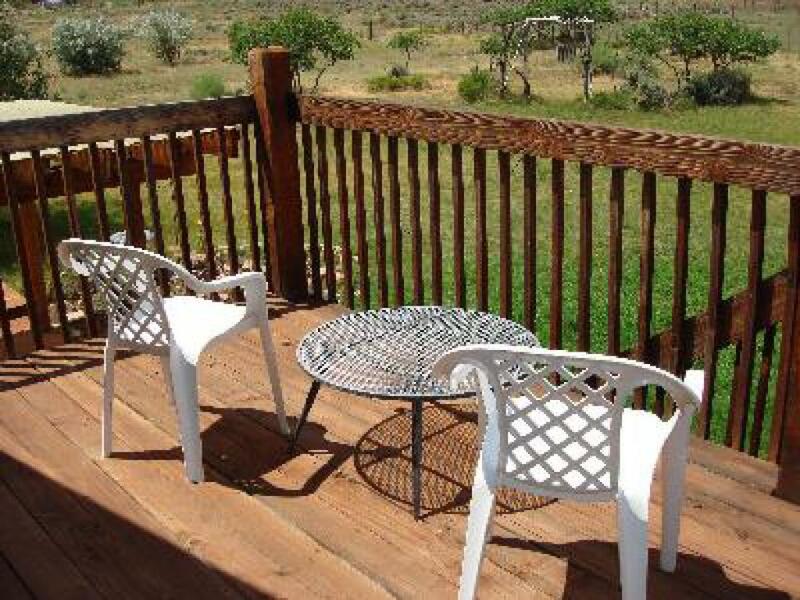 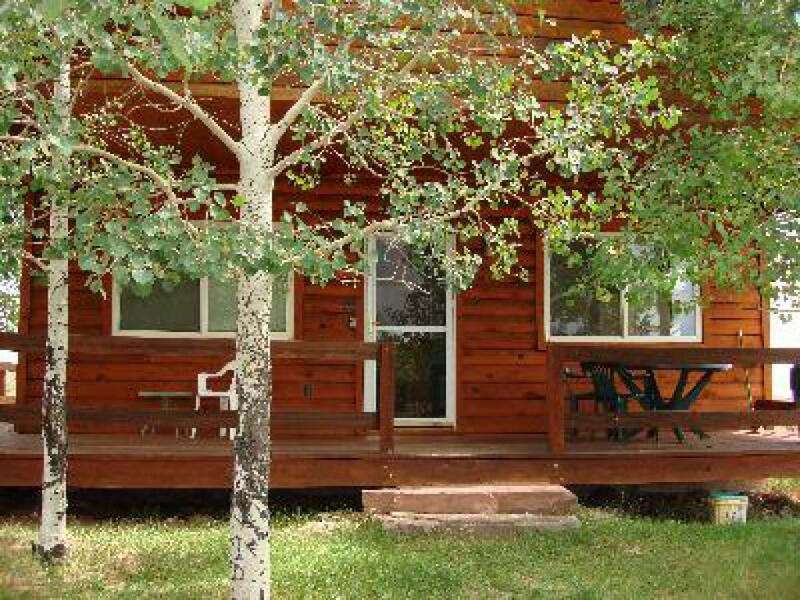 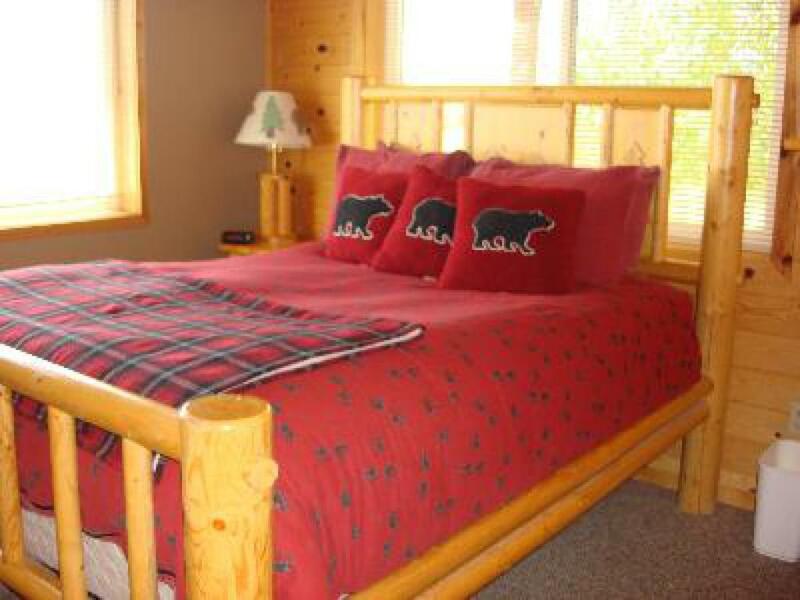 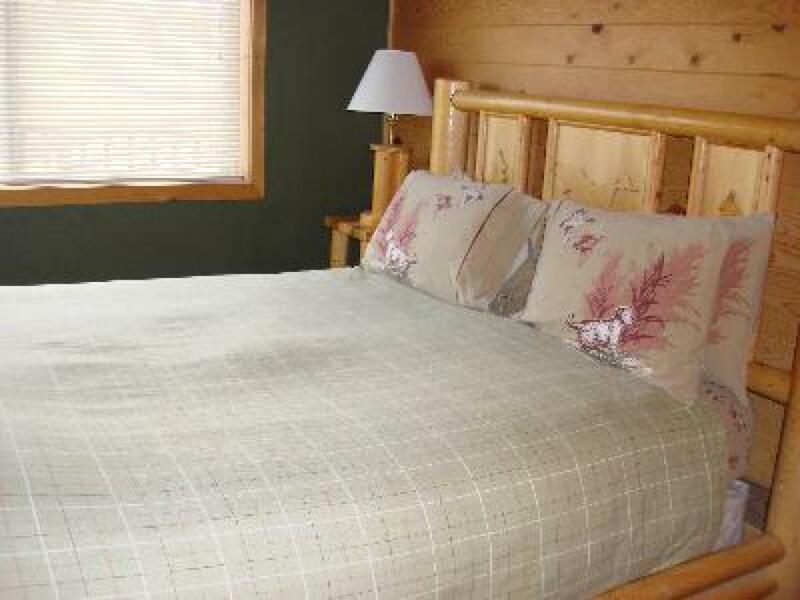 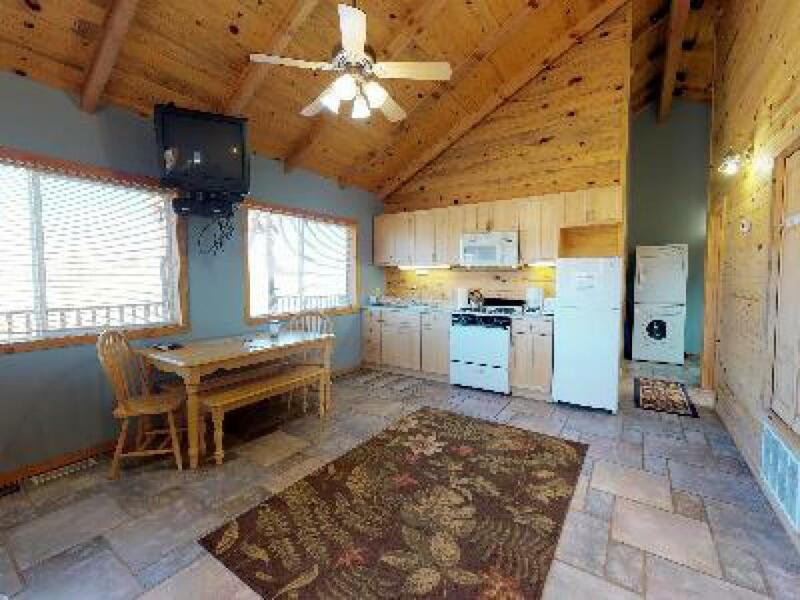 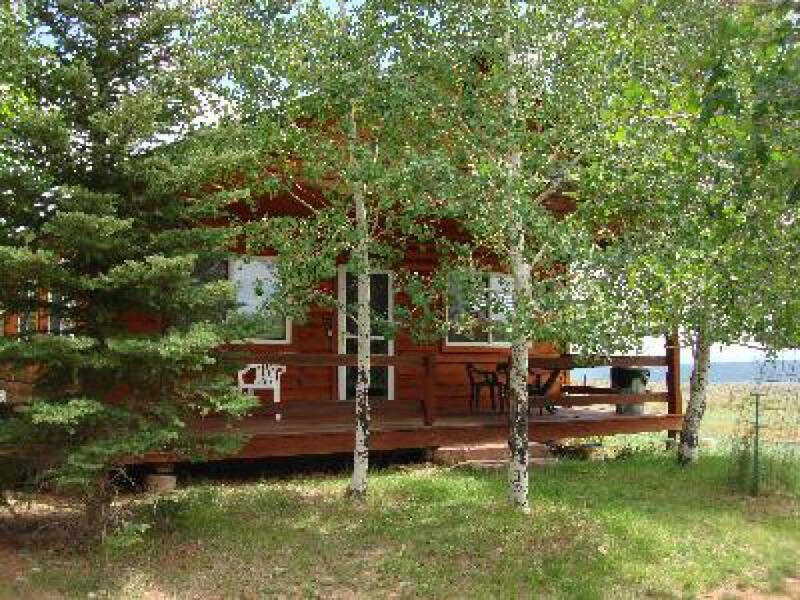 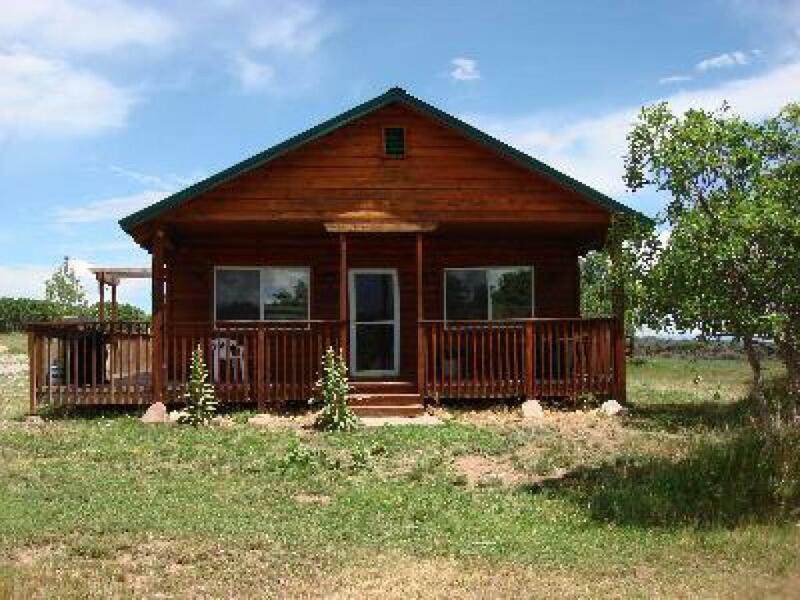 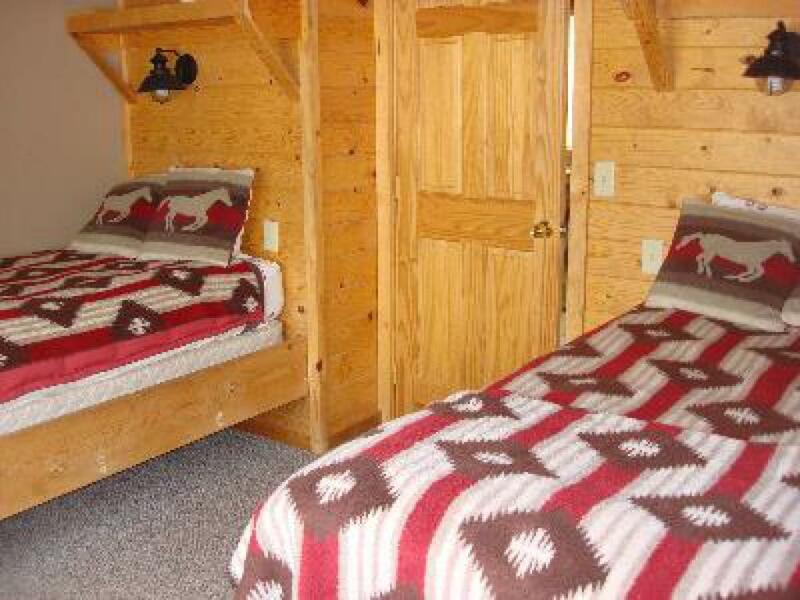 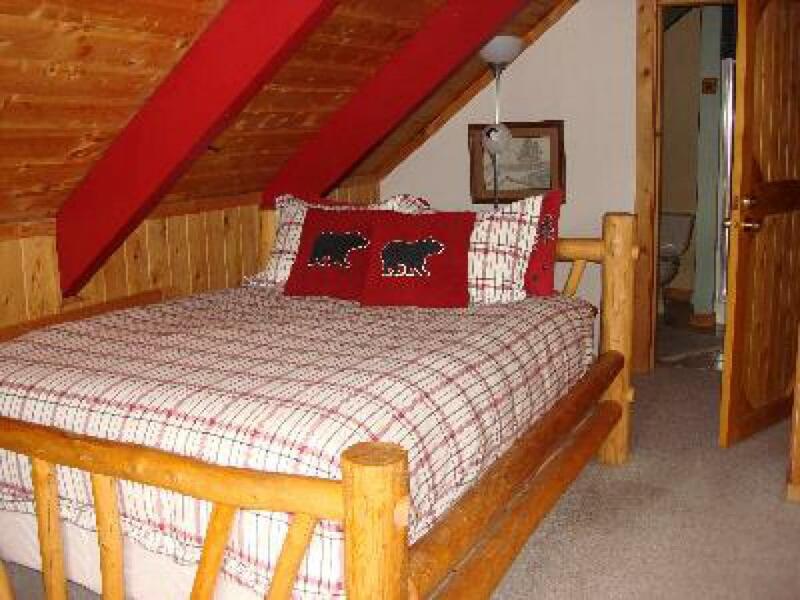 Our beautiful mountain property is cozy, quiet and peaceful, a definite contrast to the busy and crowded town of Moab. 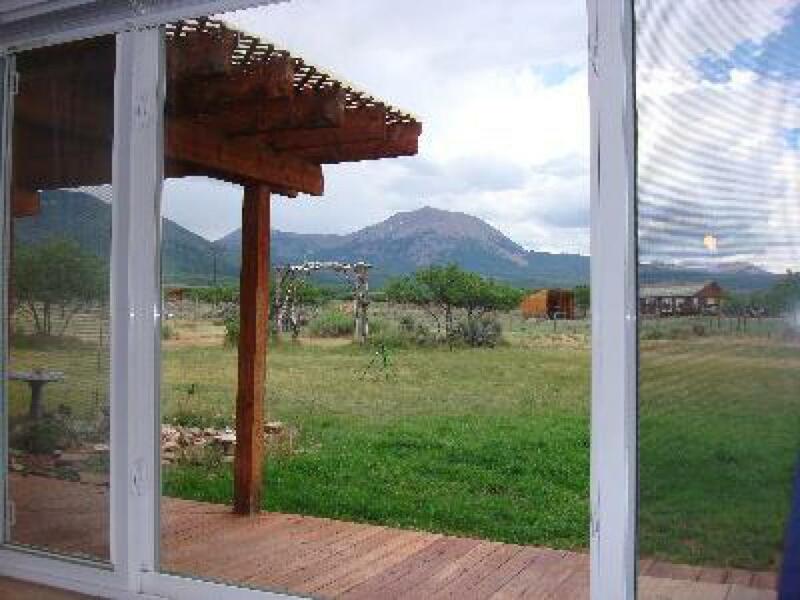 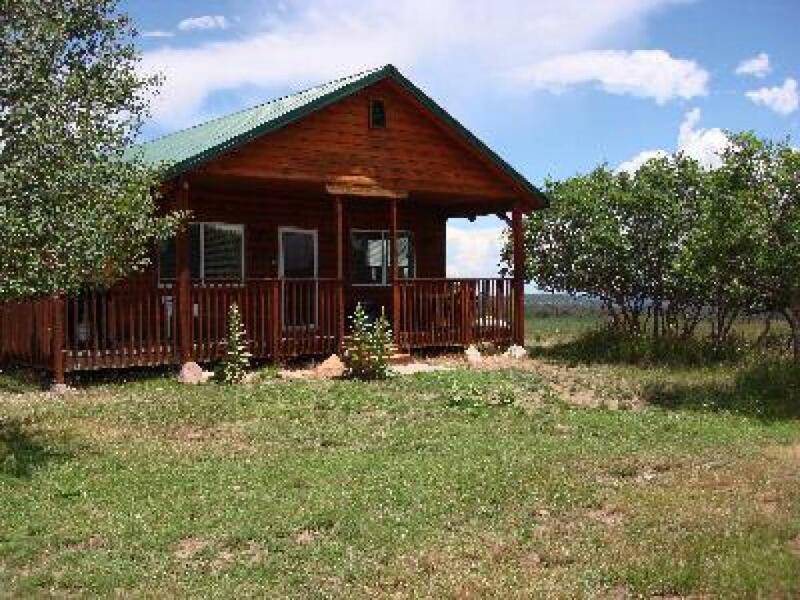 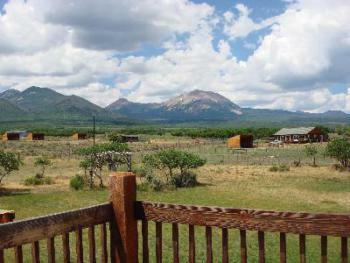 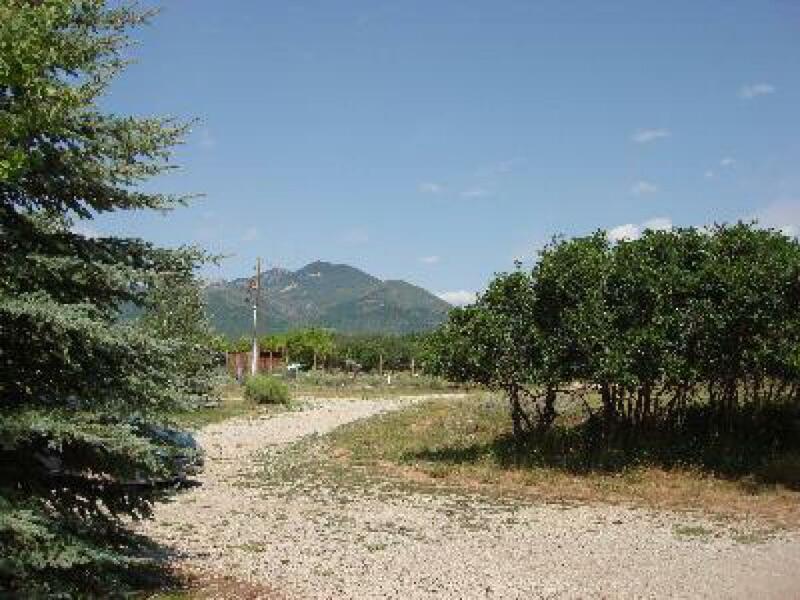 The mountain views, sunrises and sunsets here are breath taking.We are right next to the beautiful La Sal Mountains. 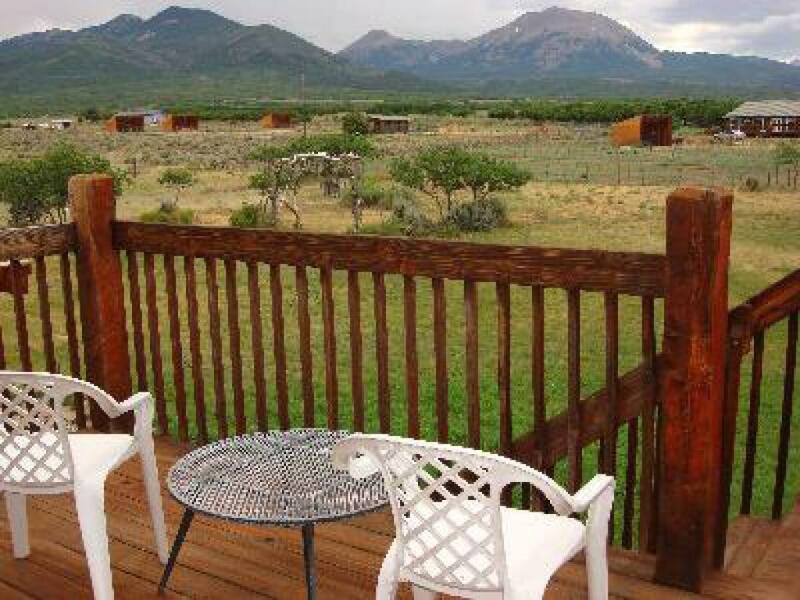 We are a 40-45 minute drive to the National Parks: Arches and Canyonlands, Canyon Rim, Mountain Lakes, a couple hours fromTelluride, Ridgeway and Ouray etc... We are within 2 hrs of all recreational areas in the 4 corner states. 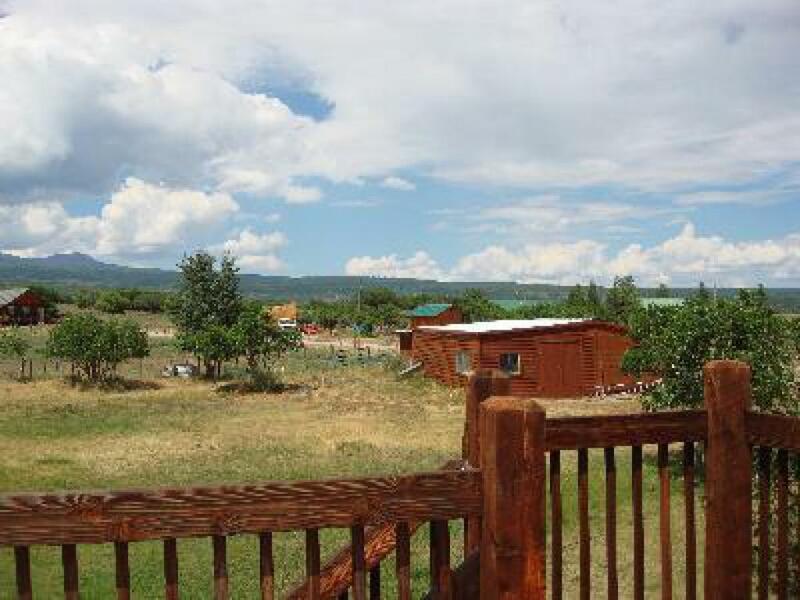 About our property: We are a healing center and we do provide healing services such as Shamanic Work, Plant Medicine, Animal Healing, and much more. 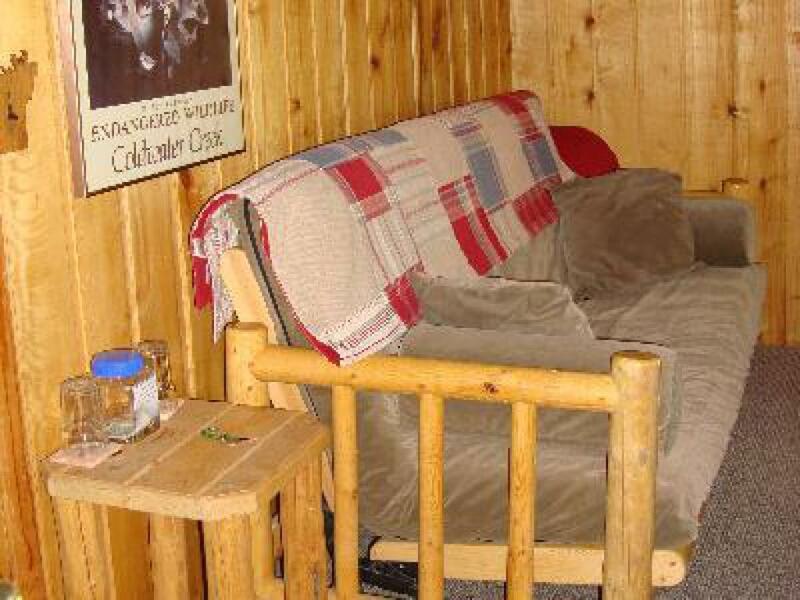 Not only are we a peaceful and cozy sanctuary for our human friends, we are also a sanctuary and home for special needs animals, such as horses, cats, dogs and a baby cow. 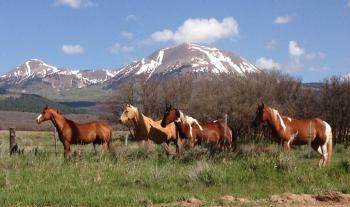 We are a non-profit 501c3 rescue. 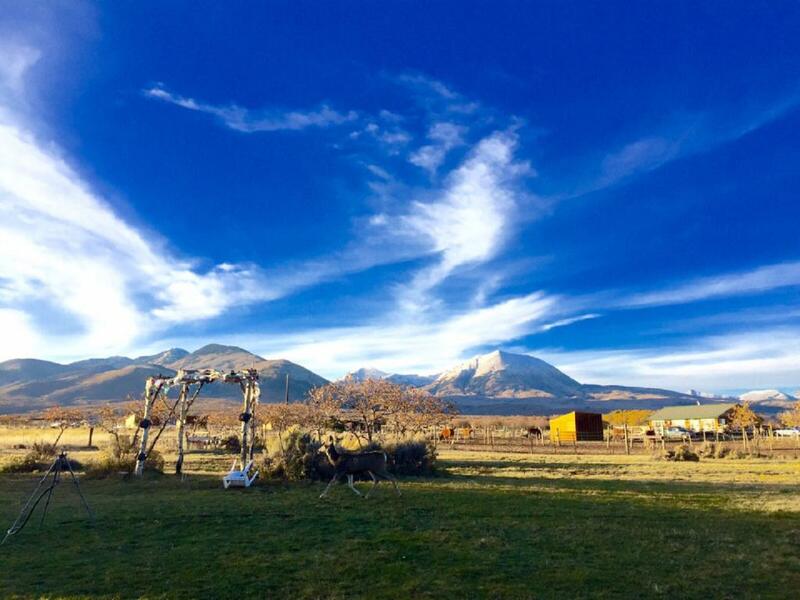 If you are interested, we do accept volunteers for feeding and watering horses, cleaning horse stalls and monitoring/playing outside with our special needs cat Bryan Love. 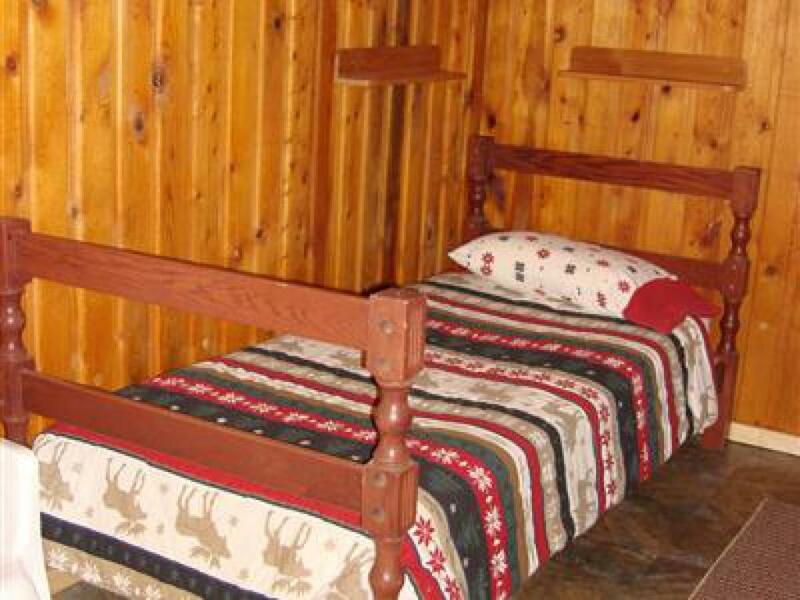 Volunteer/tour times are 8AM and 5PM (Times may vary).Let us know before hand if you are interested in volunteering with us. 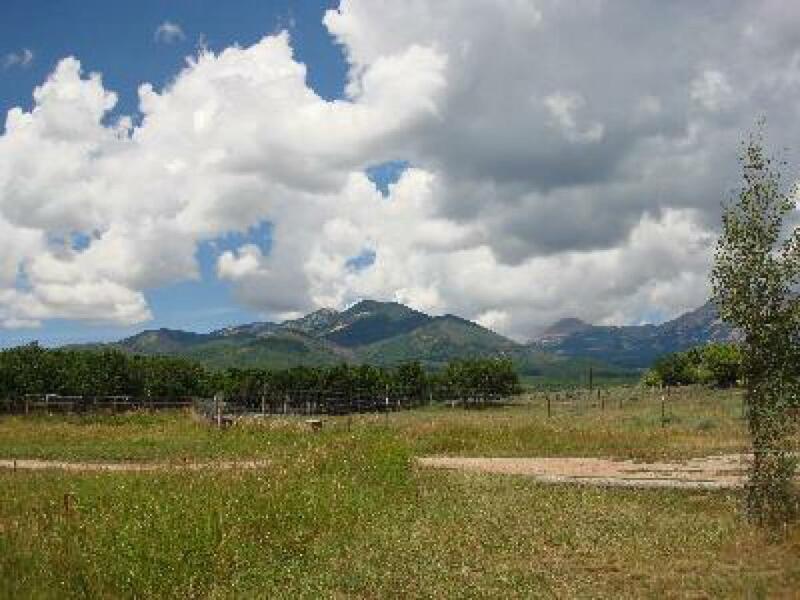 You know when you step onto this land that it is special. This land is filled with the energy of spirit, of healing and of service. 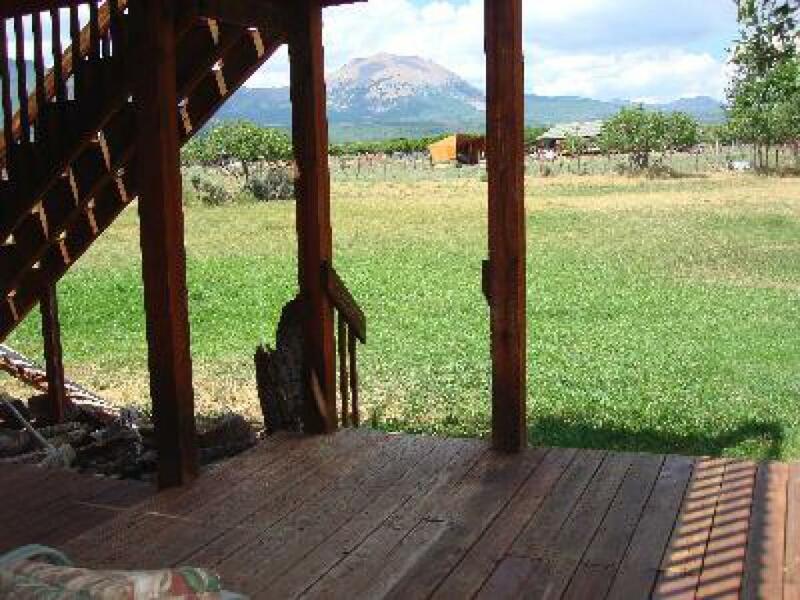 Here at Mt. 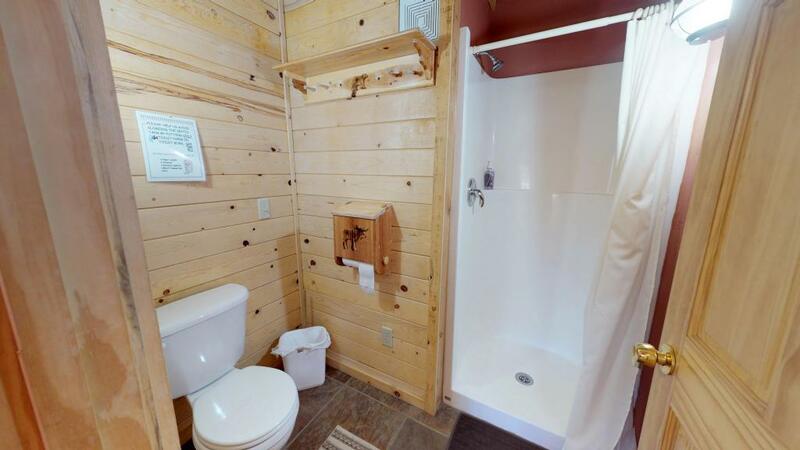 Peale, we believe in honoring the totality of life. 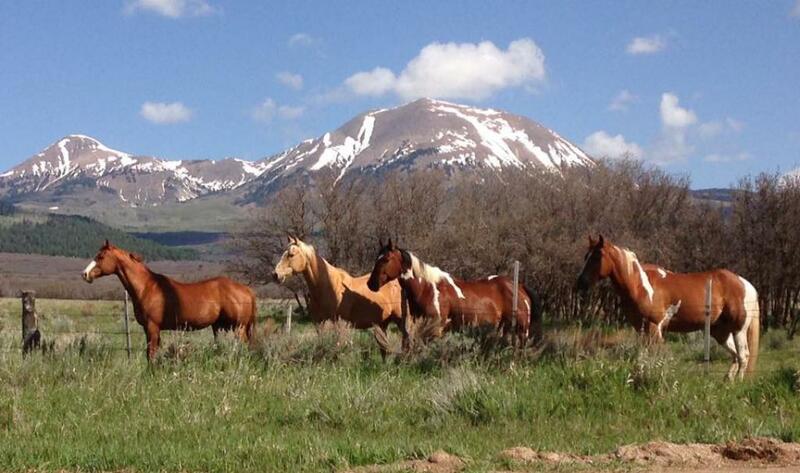 The plants ,the animals, the land and the humans are inseparable. 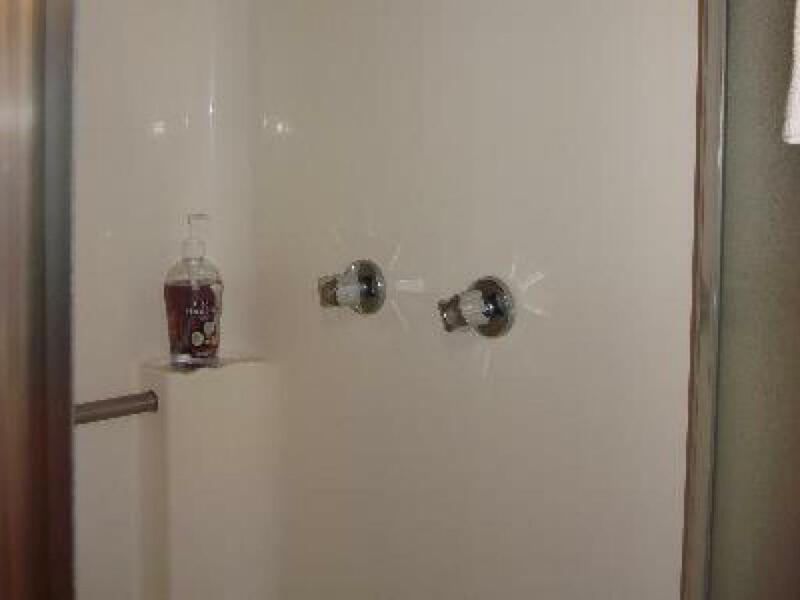 What befalls one effects the other. 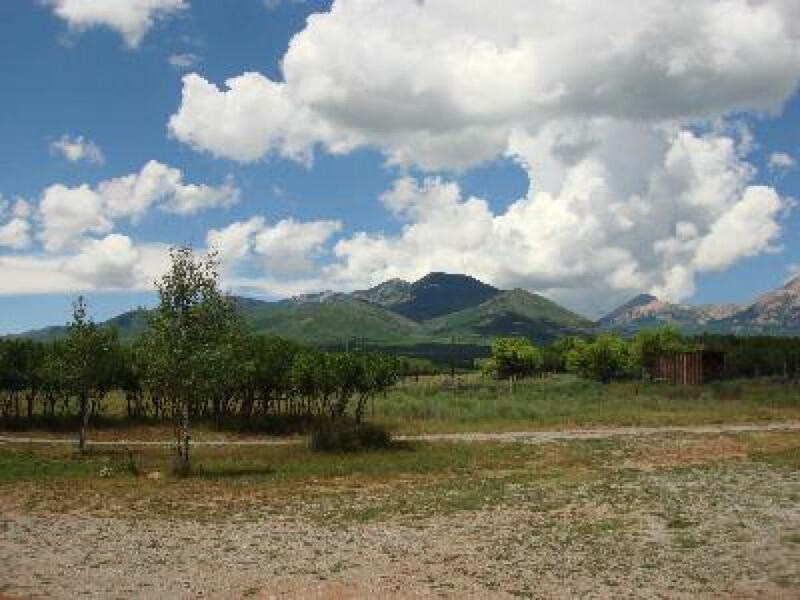 The spirit of this land has healed us, and so many others who have been guided here. 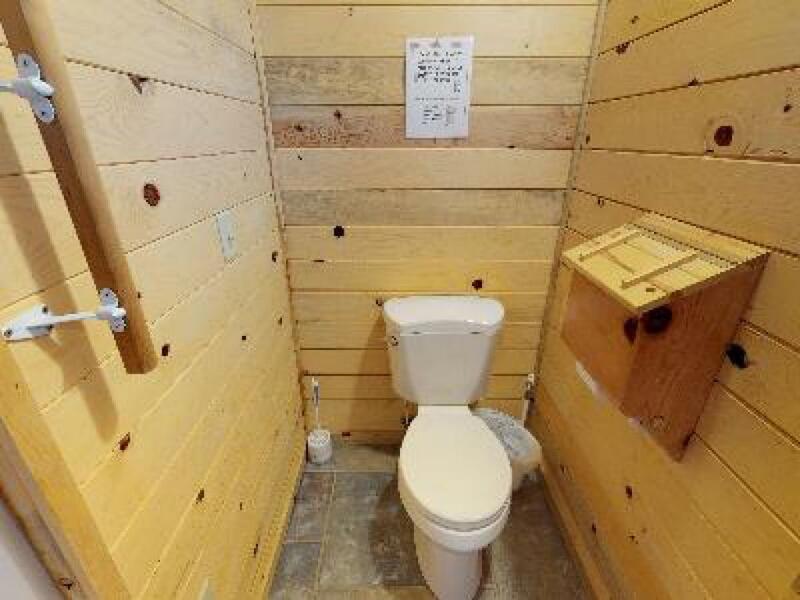 We have found that this is the perfect place to come when one is at a crossroads. 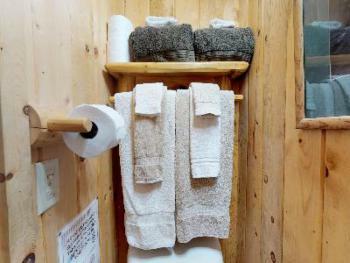 People who are searching, whether consciously or unconsciously, tend to find themselves here. 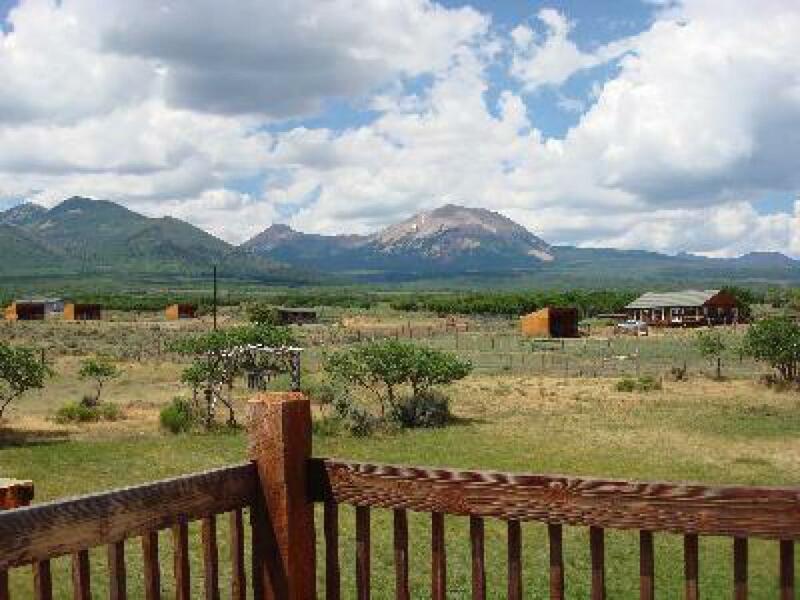 We invite you to come and have sanctuary here among the people and the animals of this land. 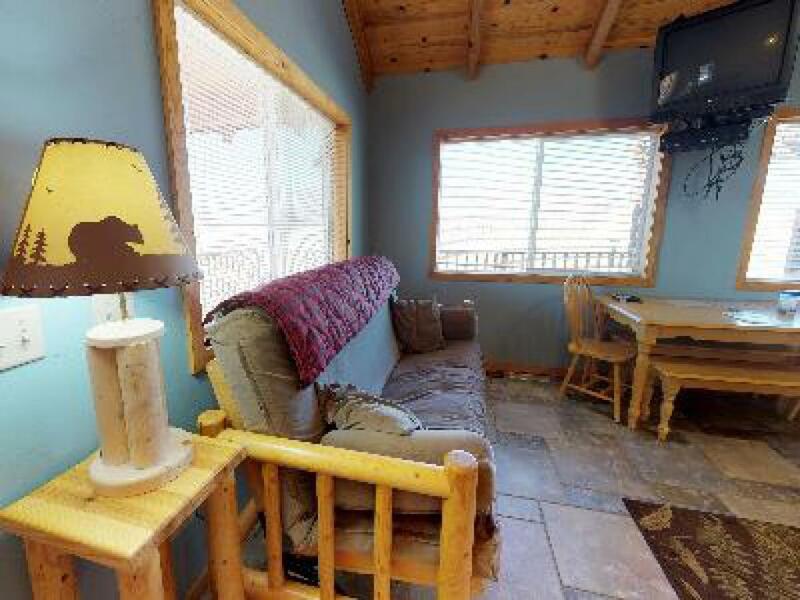 From Moab, Utah: Go South on 191 for 22 miles. 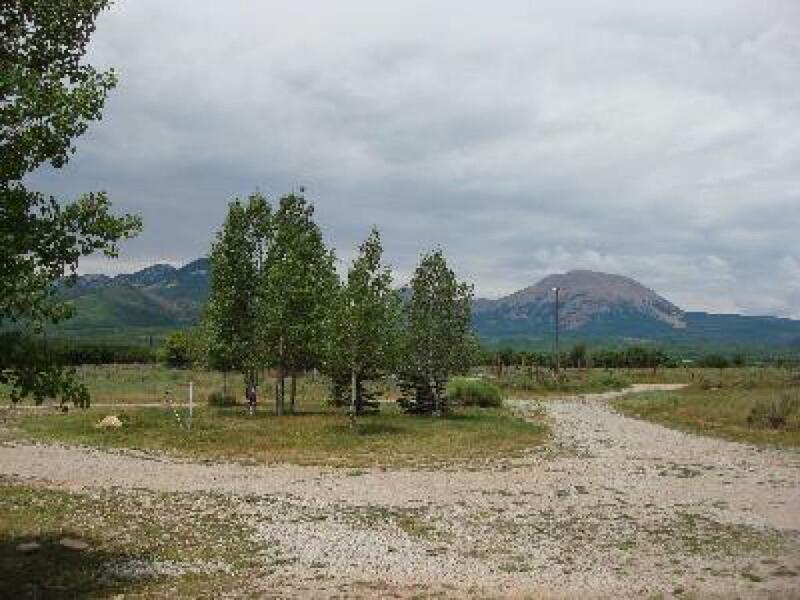 Turn Left onto Highway 46 toward La Sal. 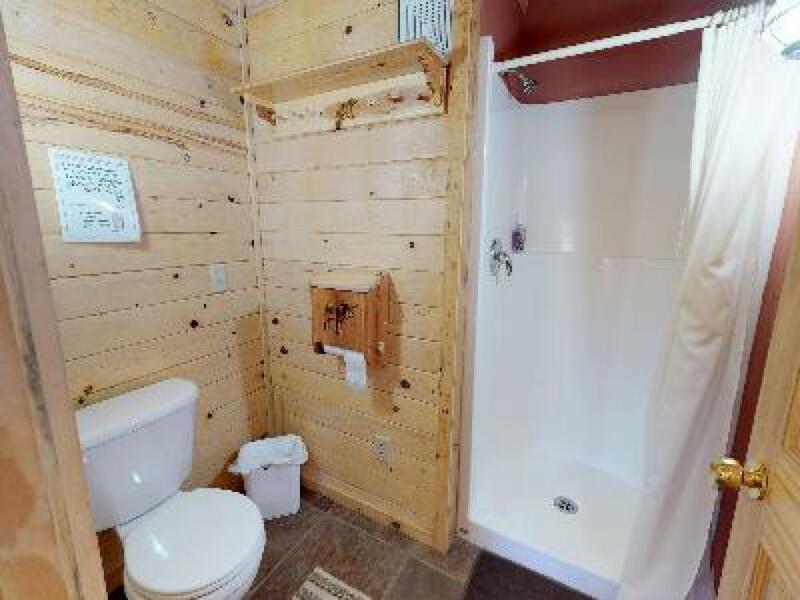 Go East on 46 for EXACTLY 14 miles. 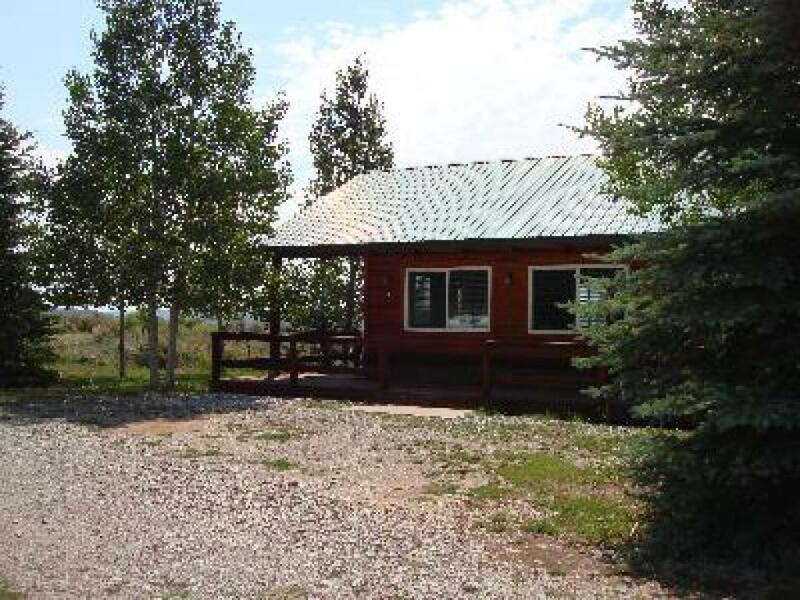 We are on the left or North side, DIRECTLY across from Mile Mark 14.